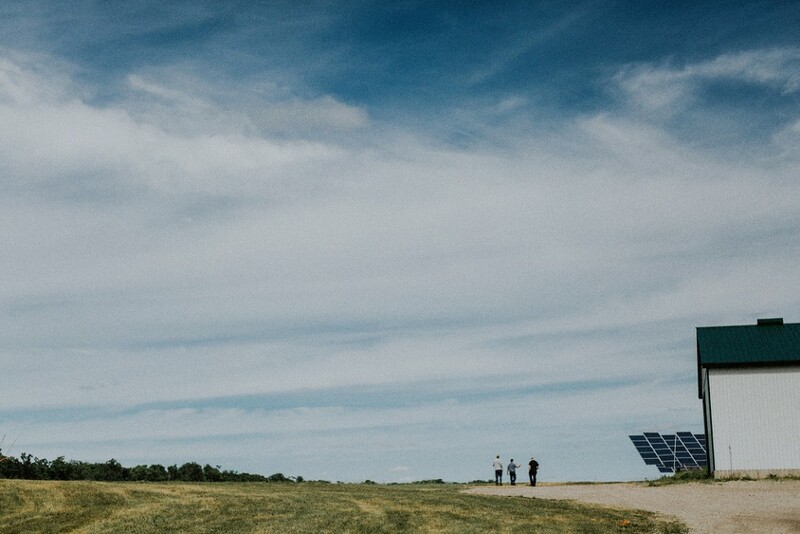 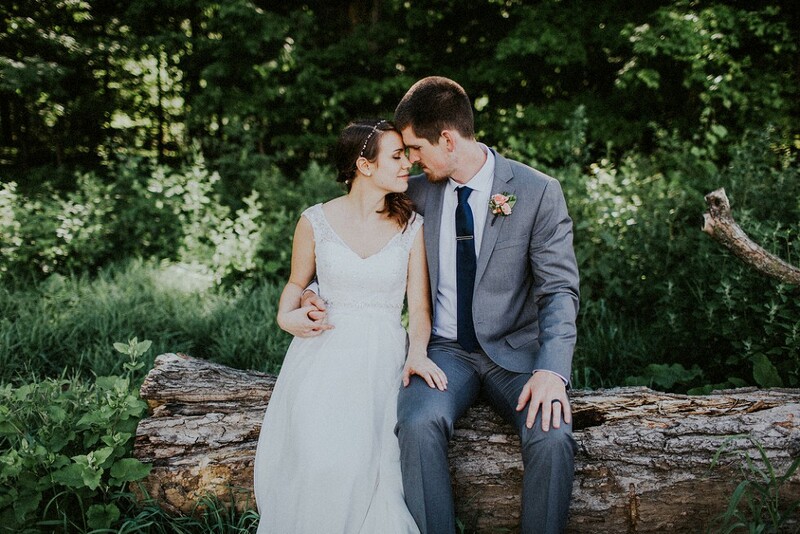 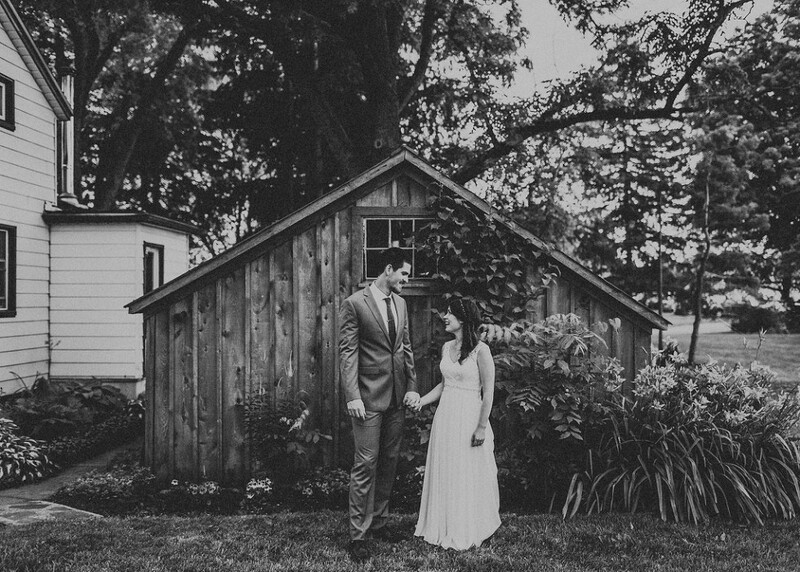 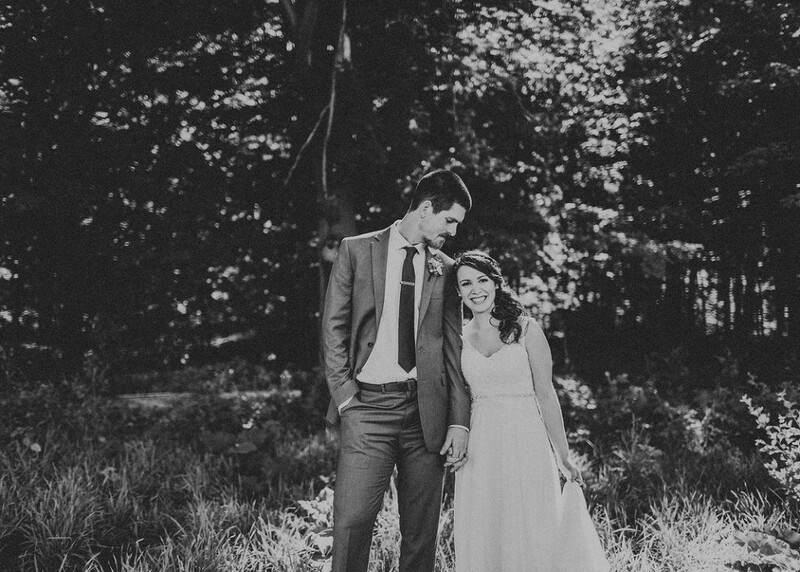 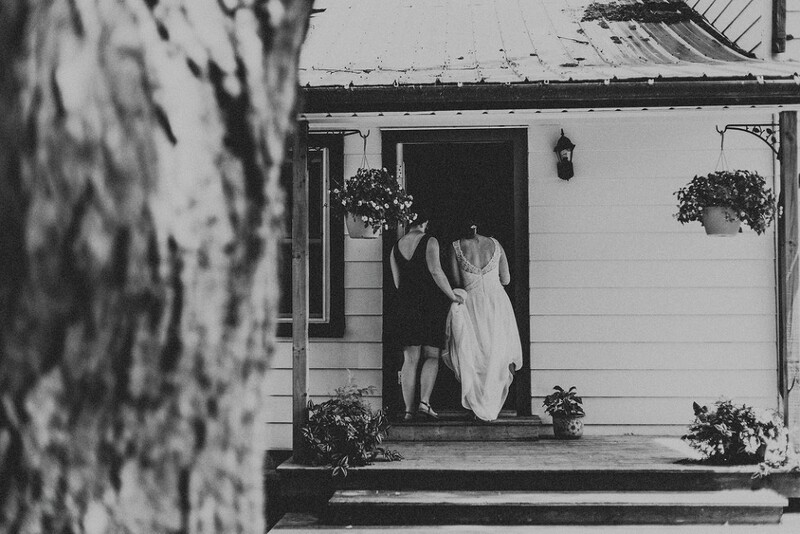 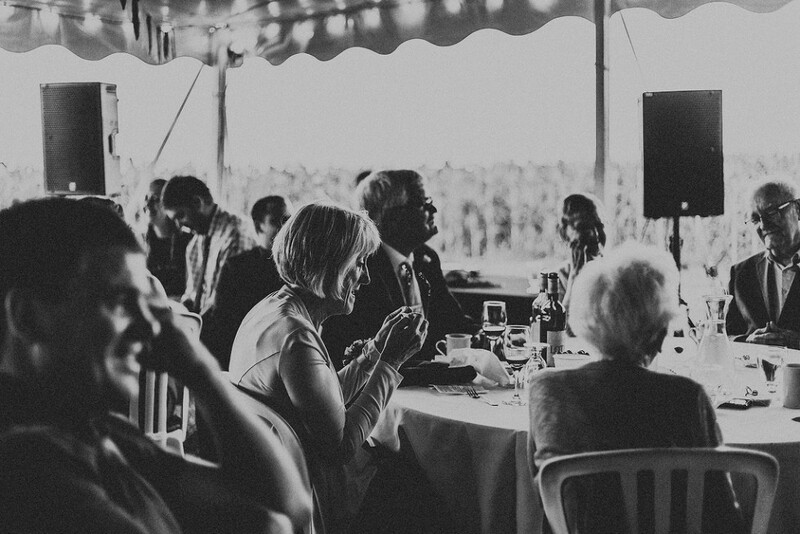 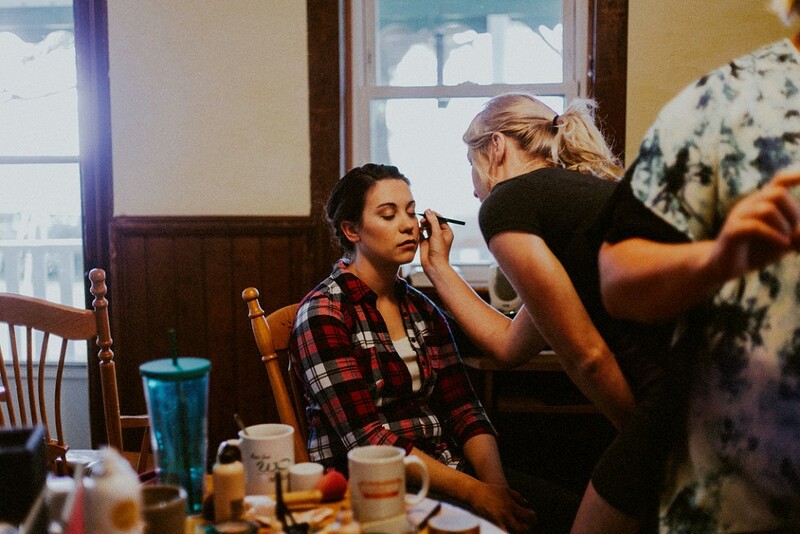 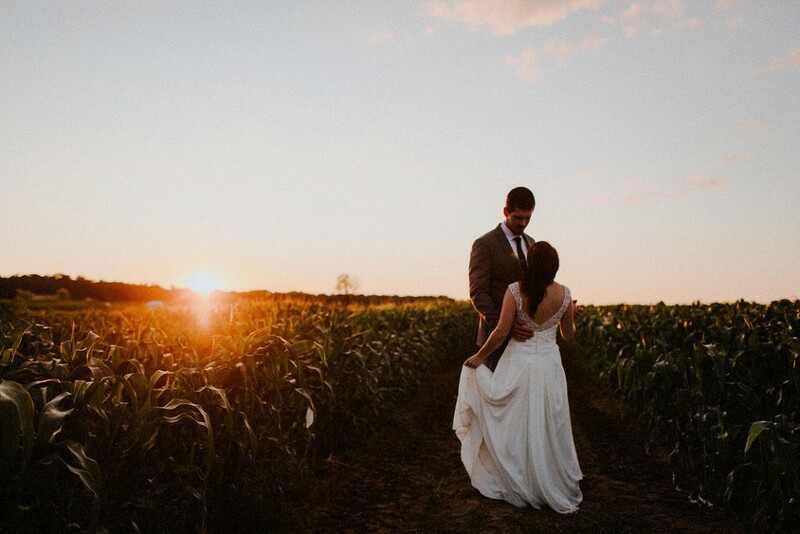 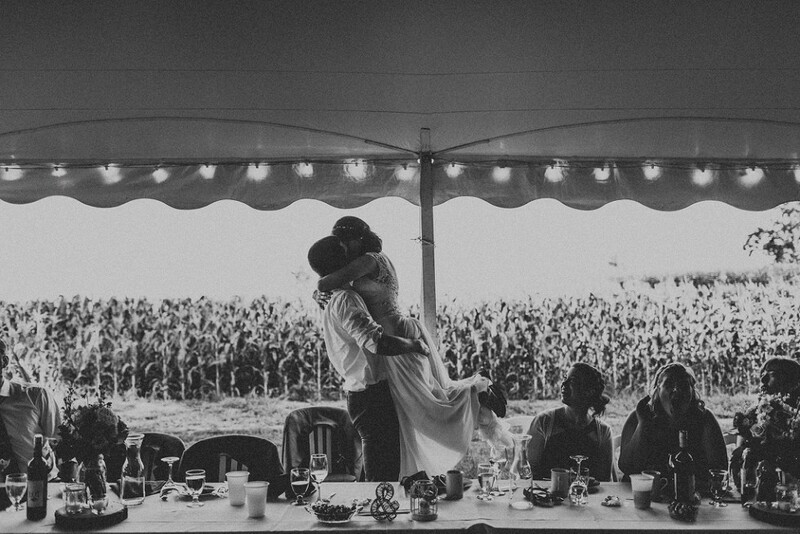 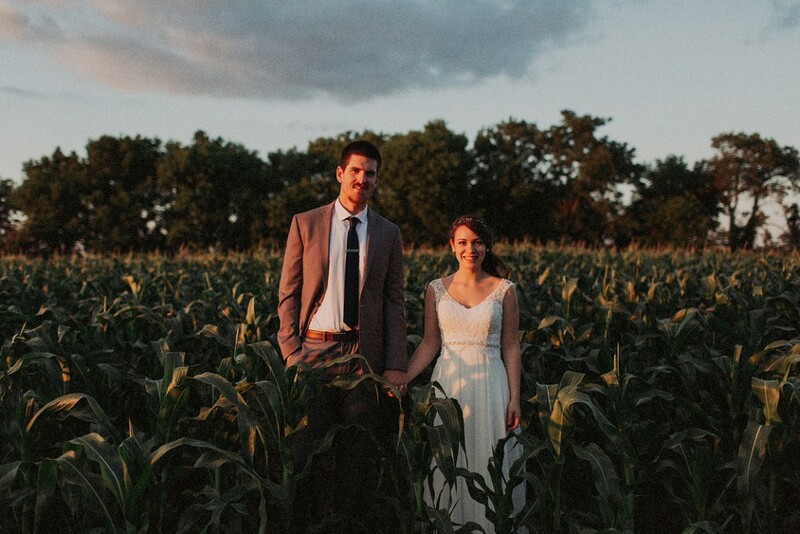 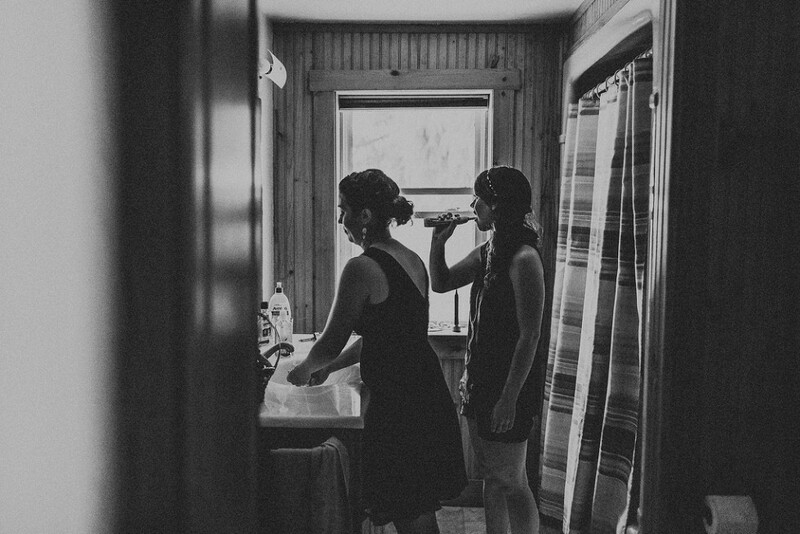 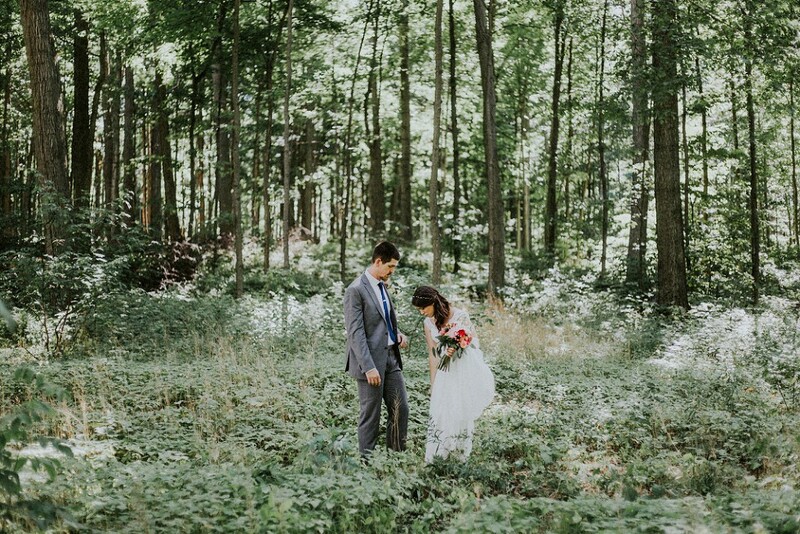 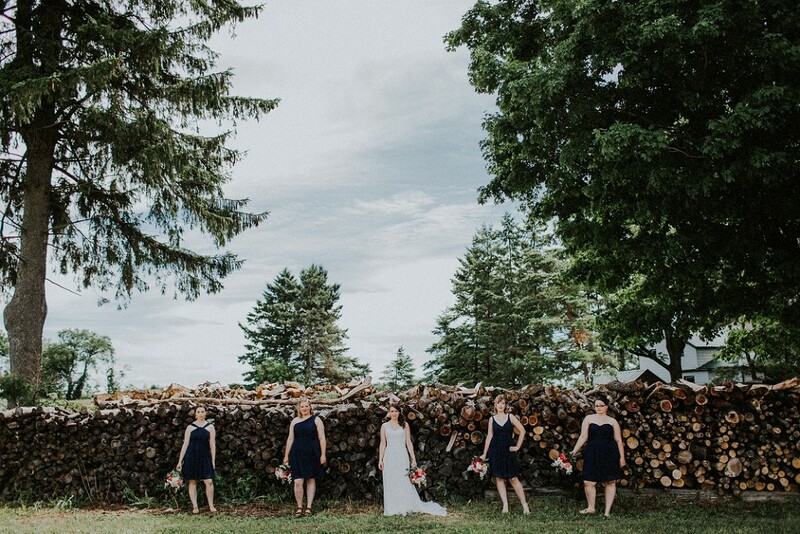 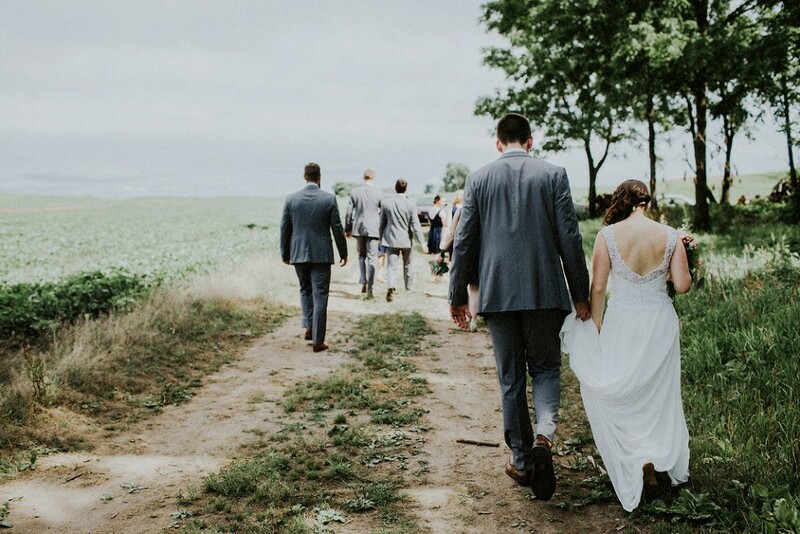 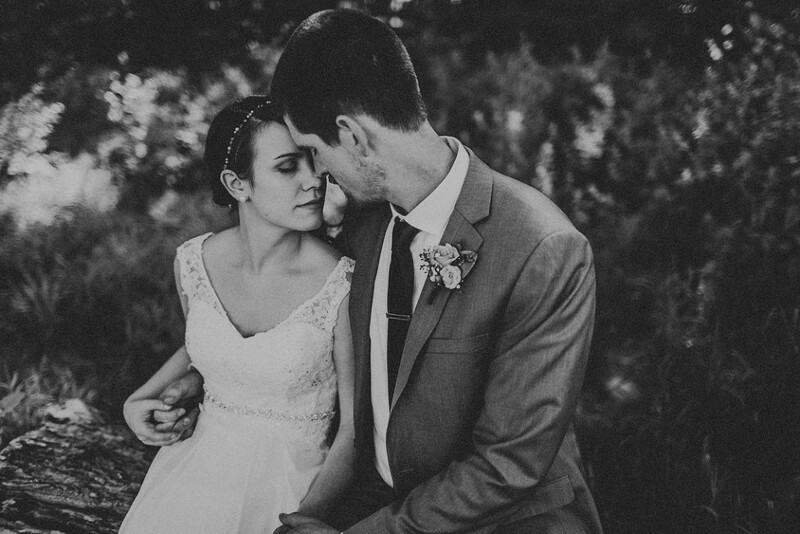 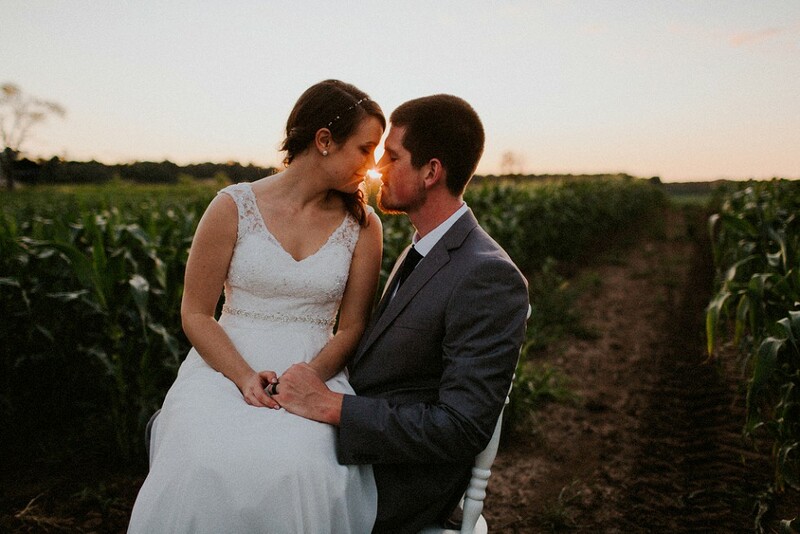 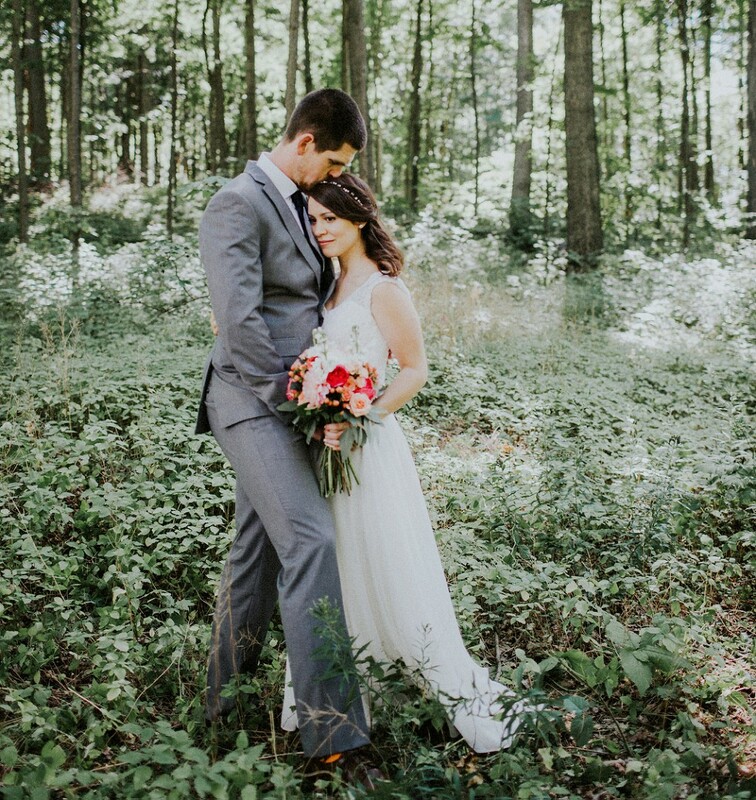 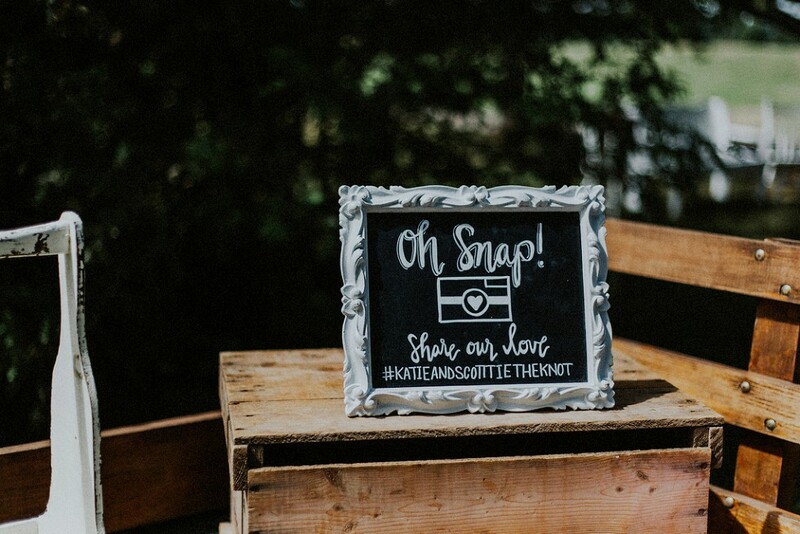 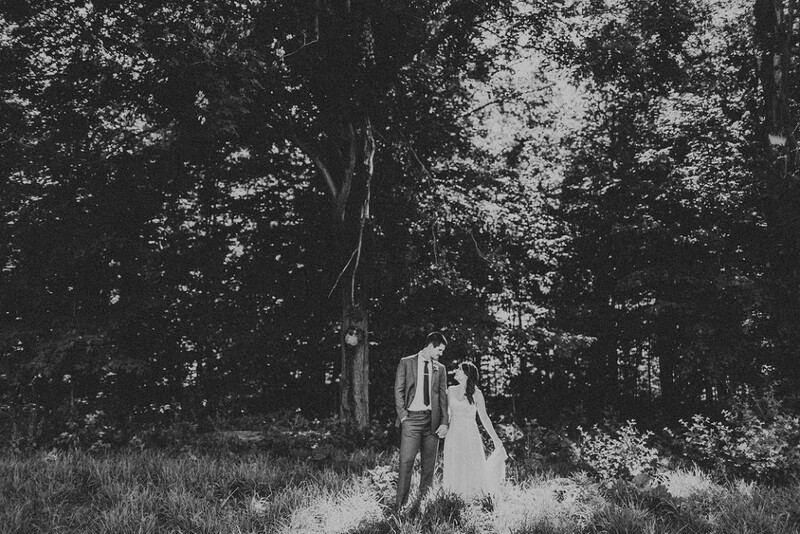 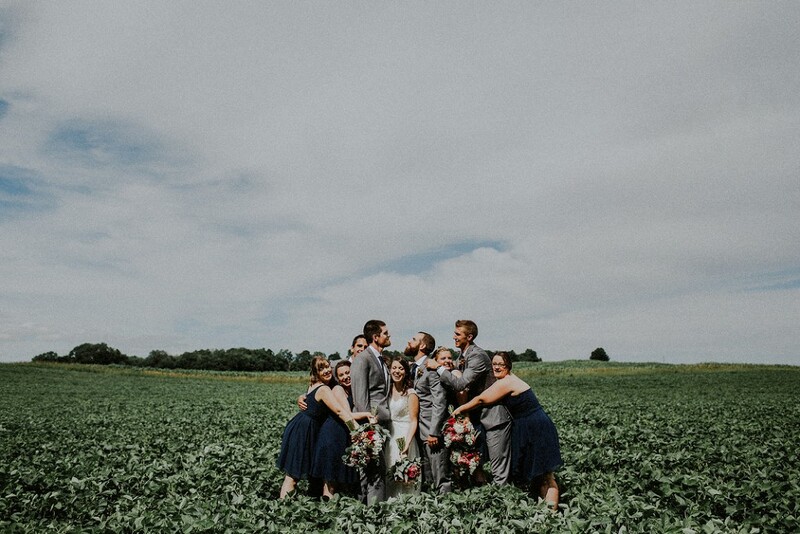 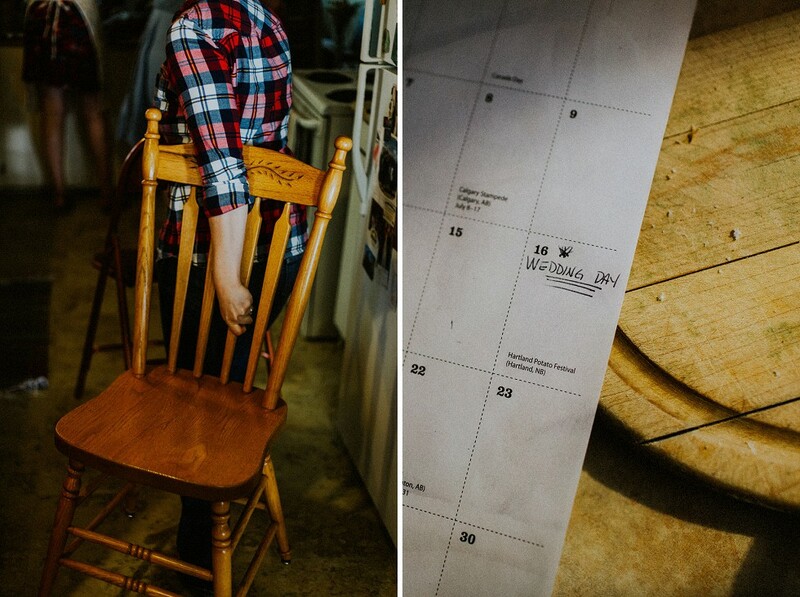 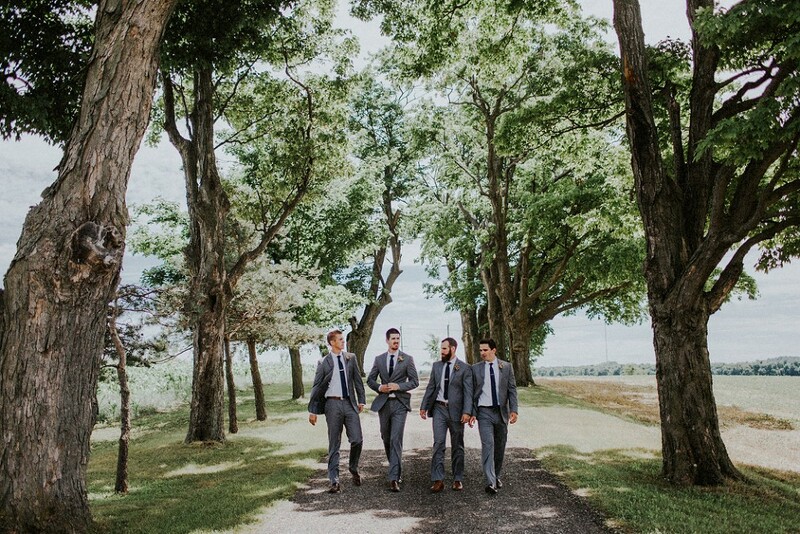 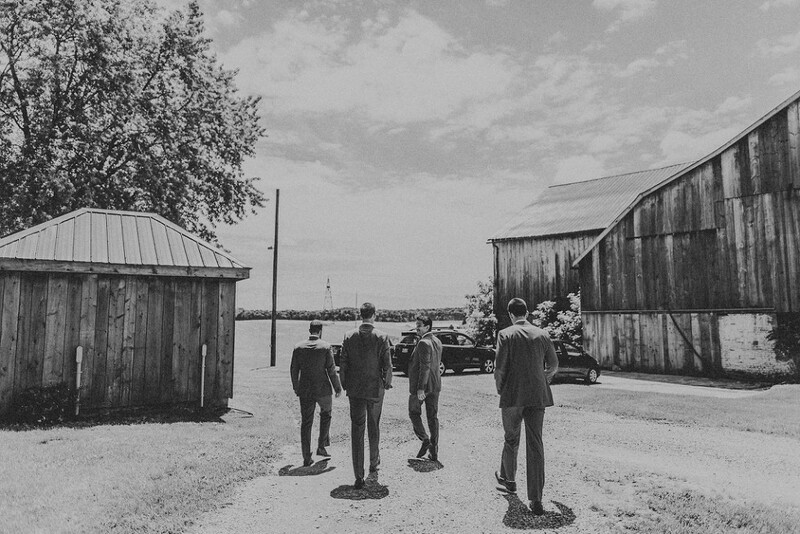 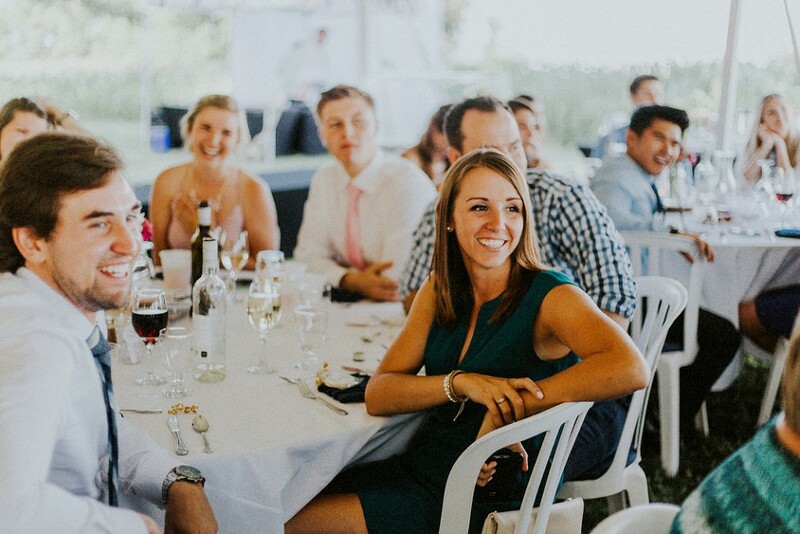 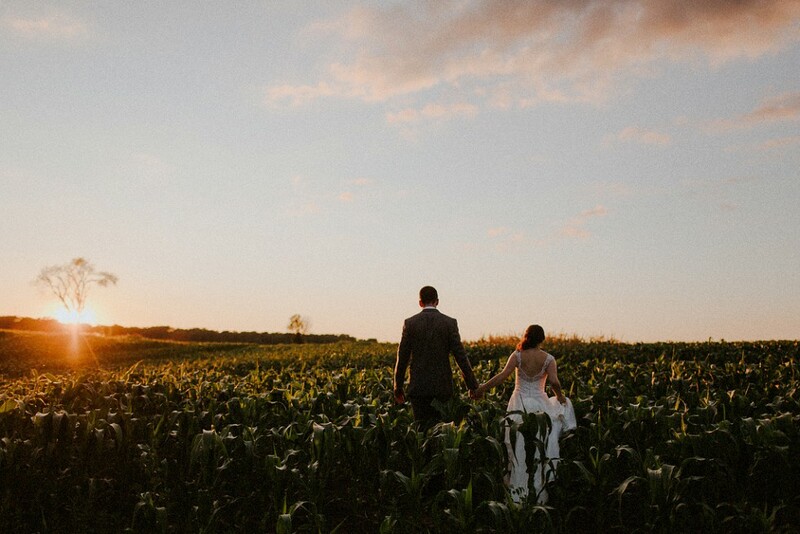 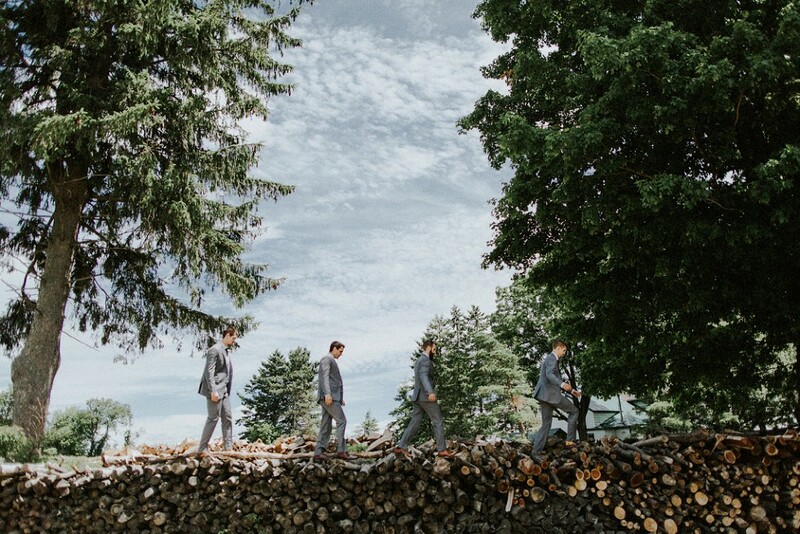 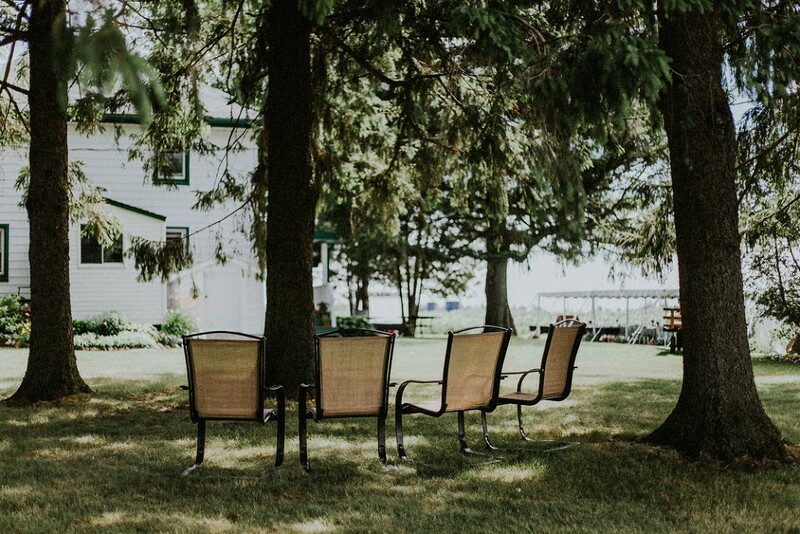 Katie + Scott held their wedding celebration at Katie’s family farm just outside of Waterloo, Ontario. 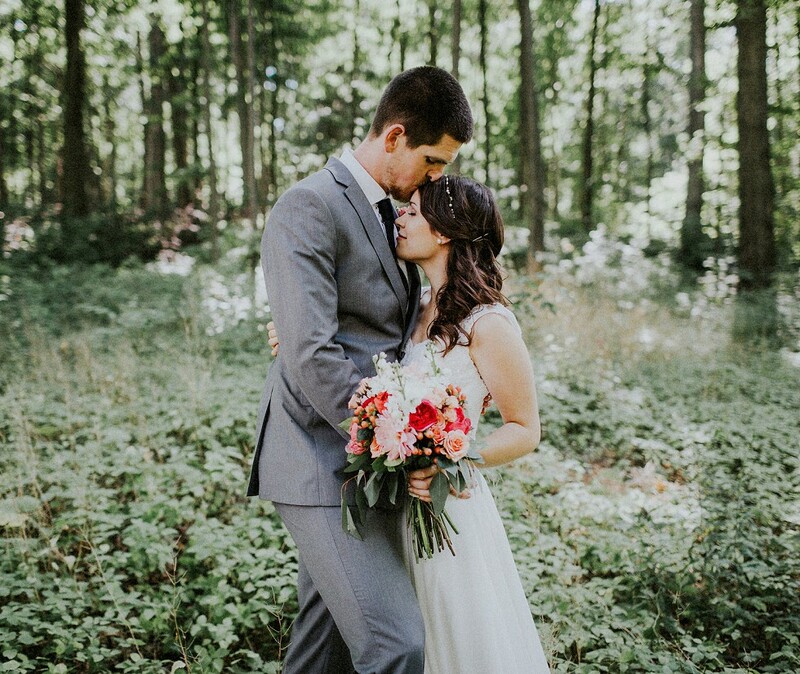 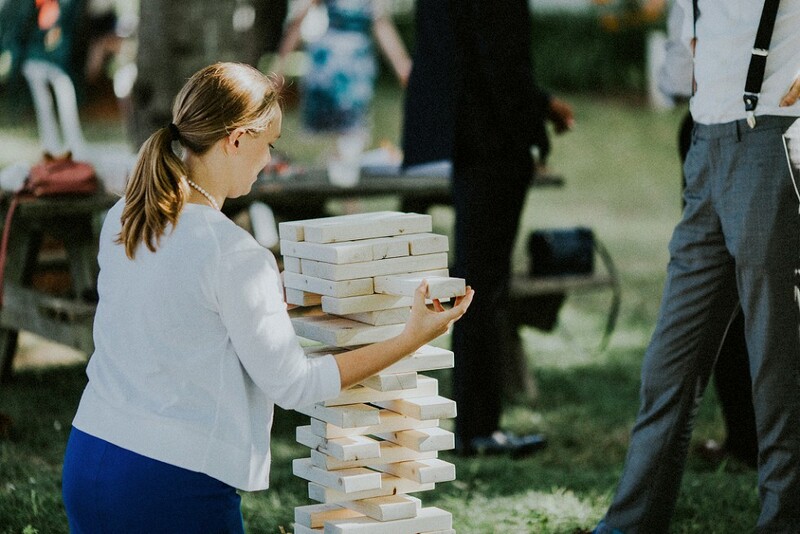 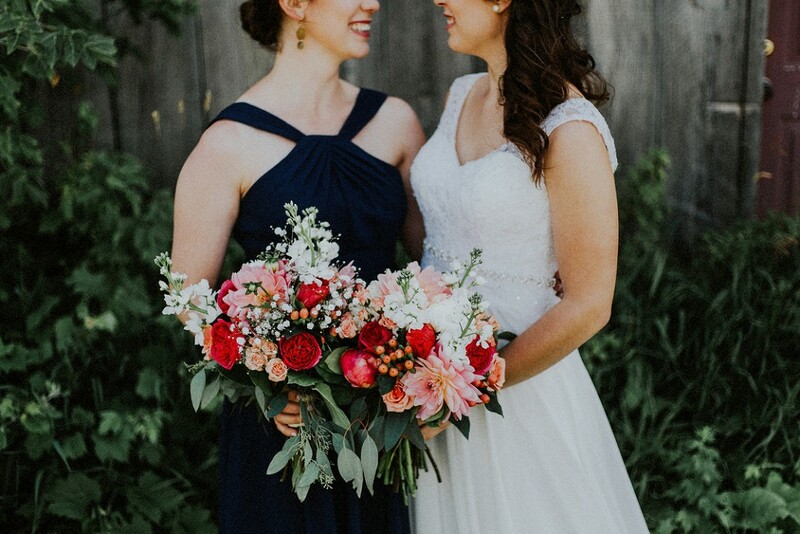 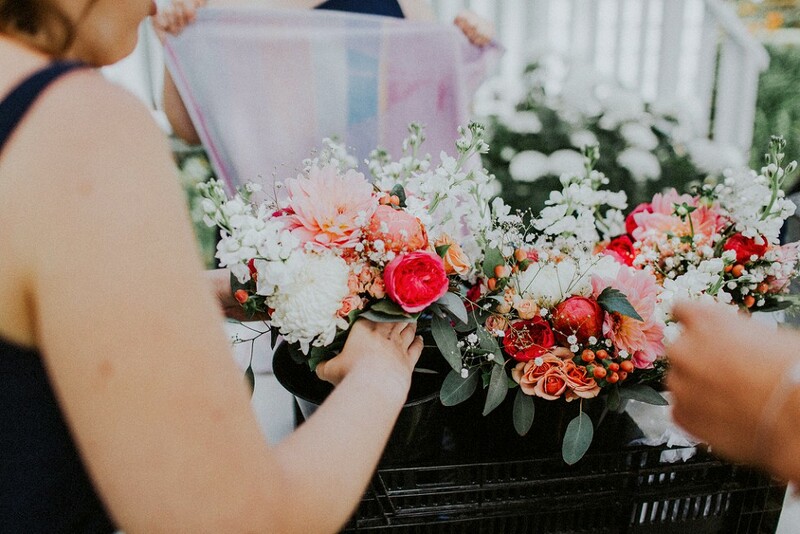 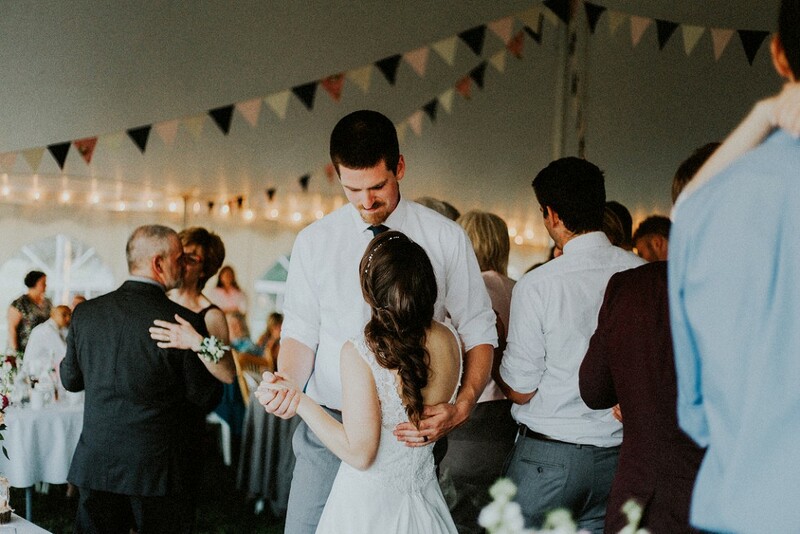 They planned an intimate backyard celebration and invited their closest family and friends to surround them as they took a new step together. 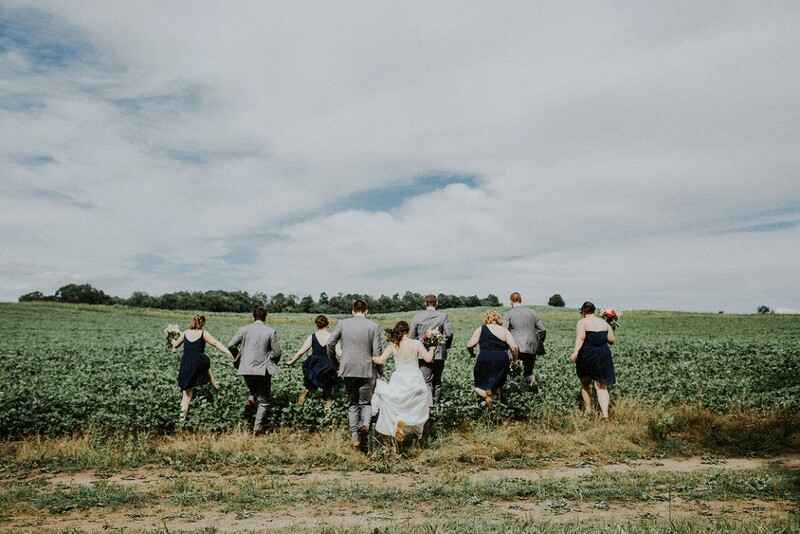 We couldn’t have asked for a better day; clear sky and dry ground meant there were no limitations to our explorations of the farm acres around us. 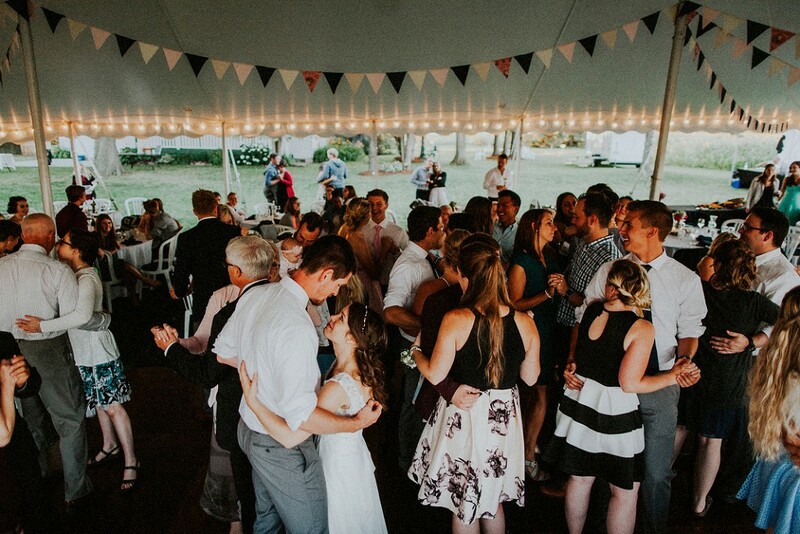 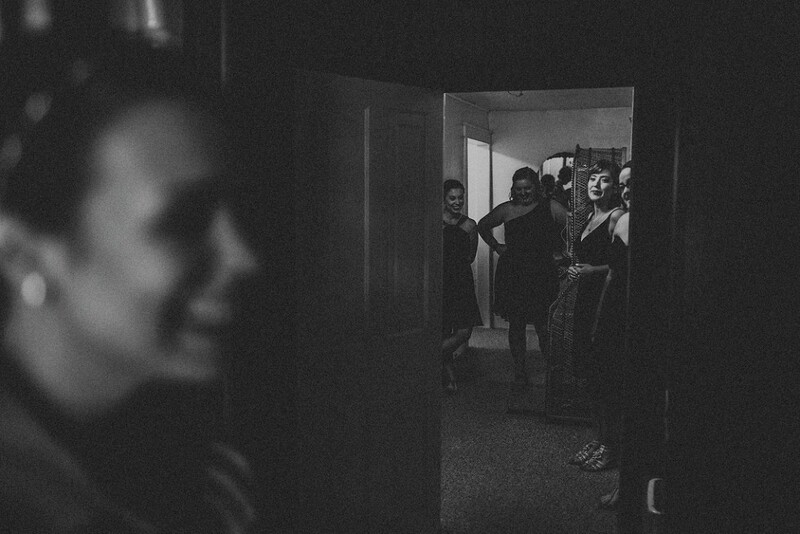 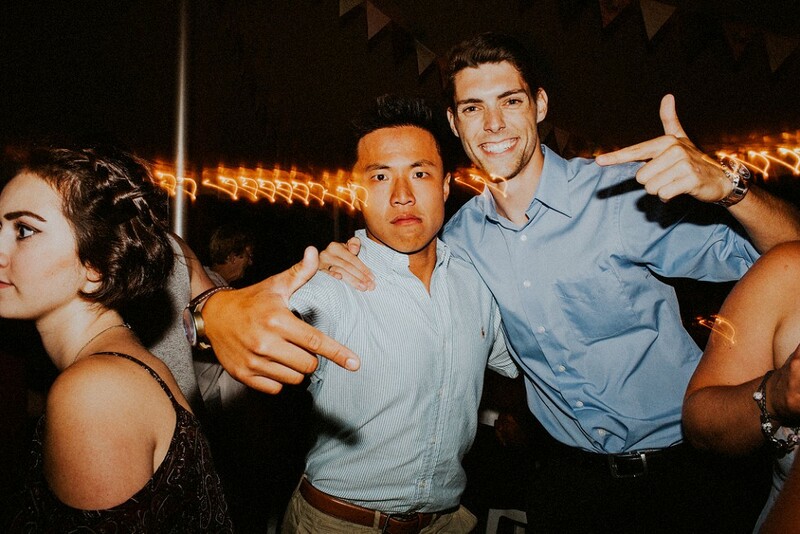 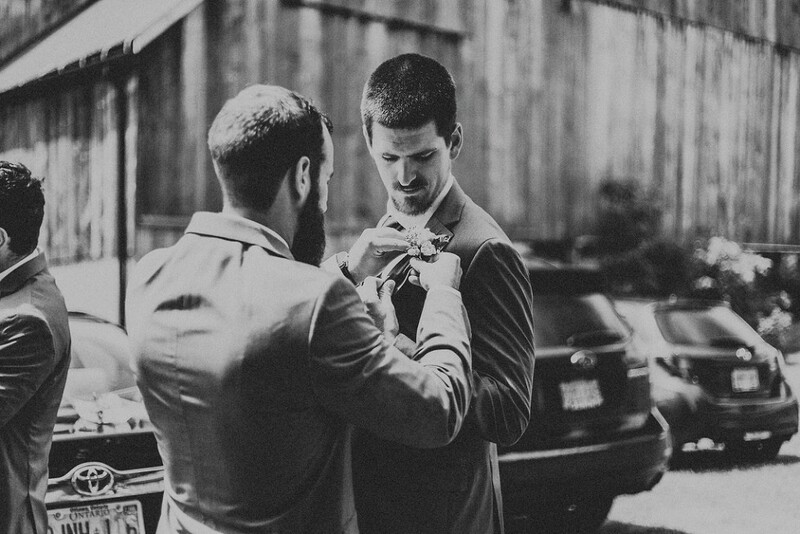 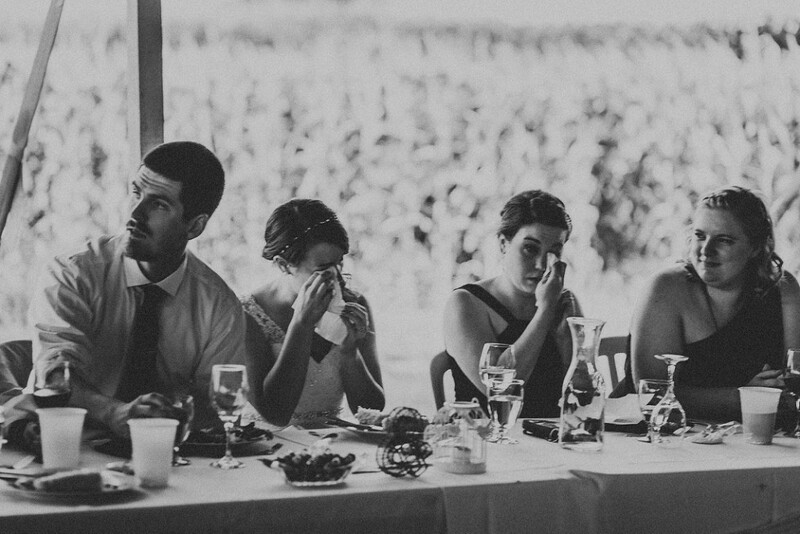 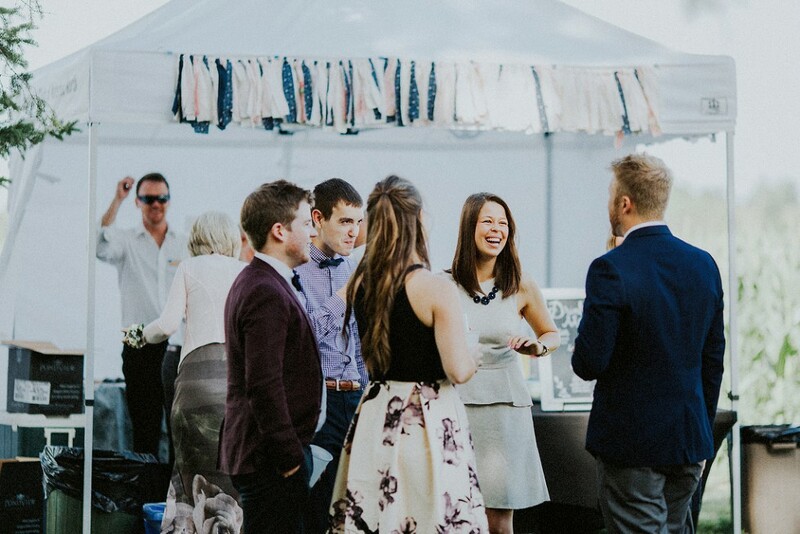 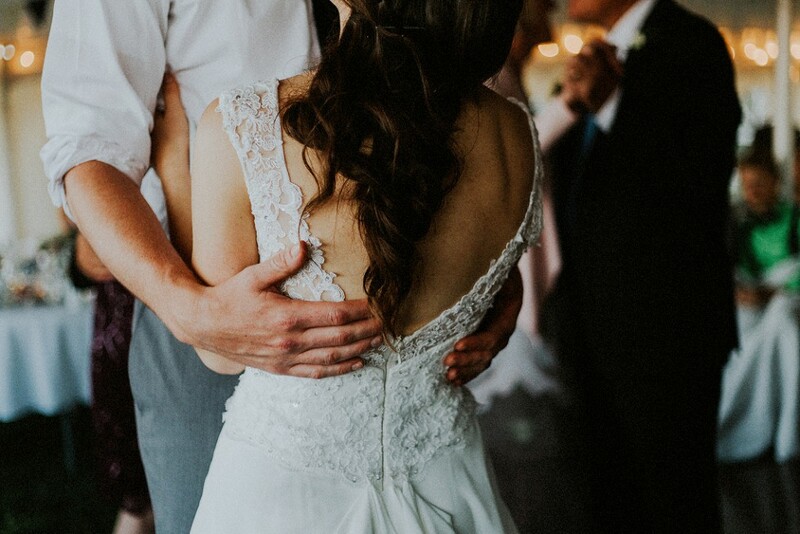 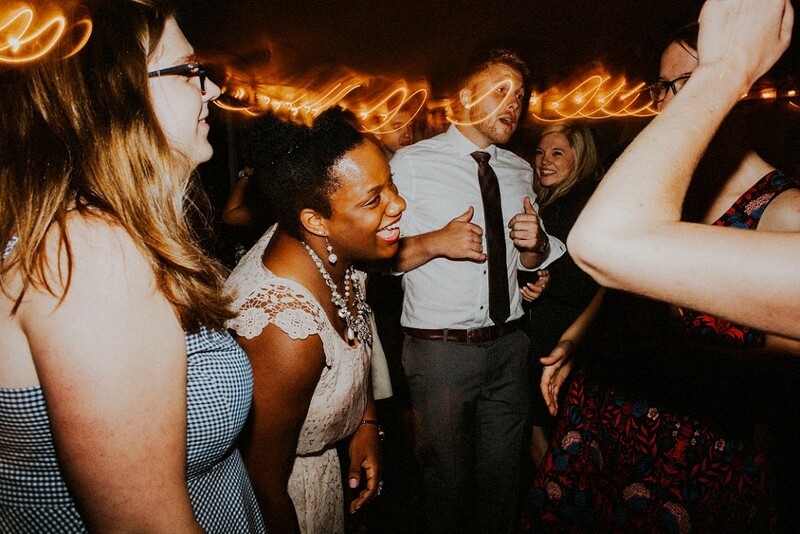 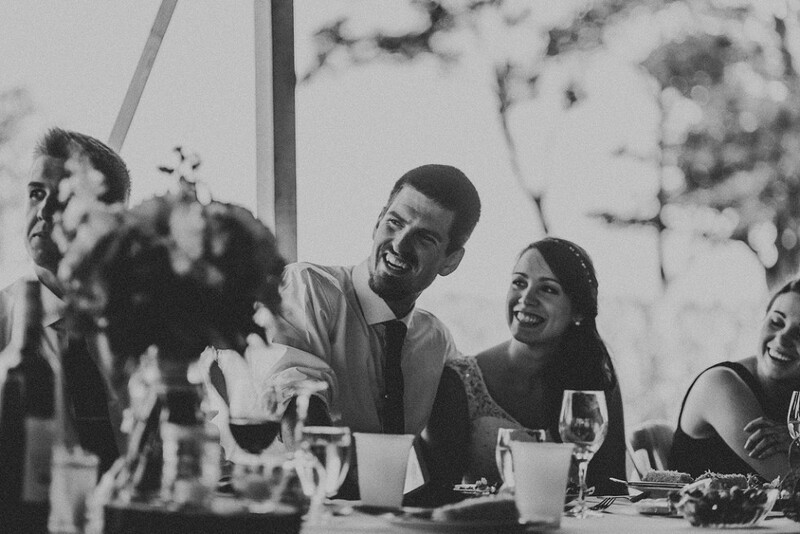 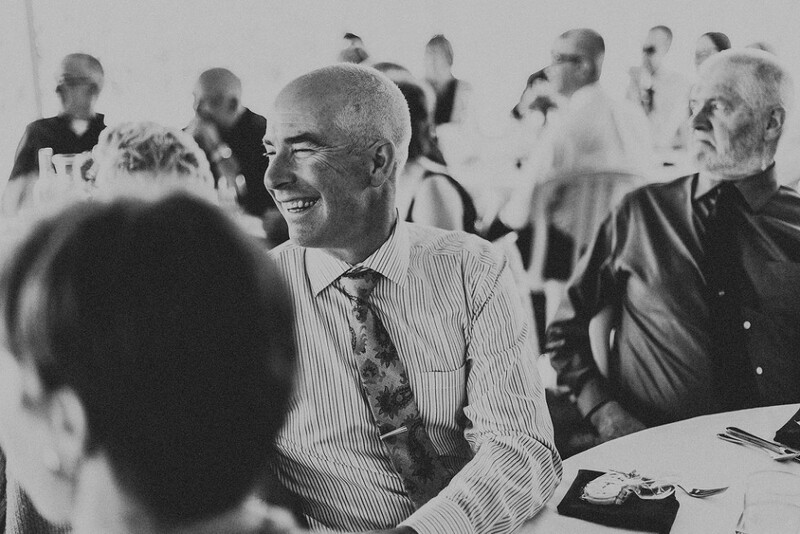 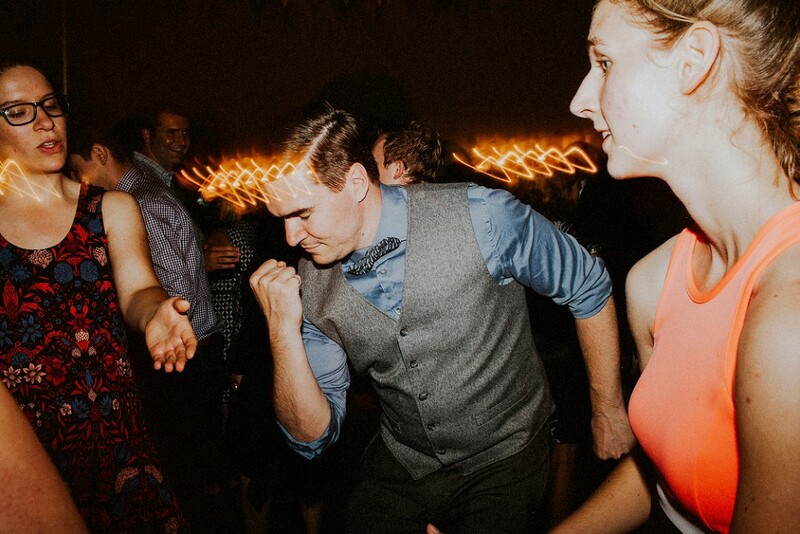 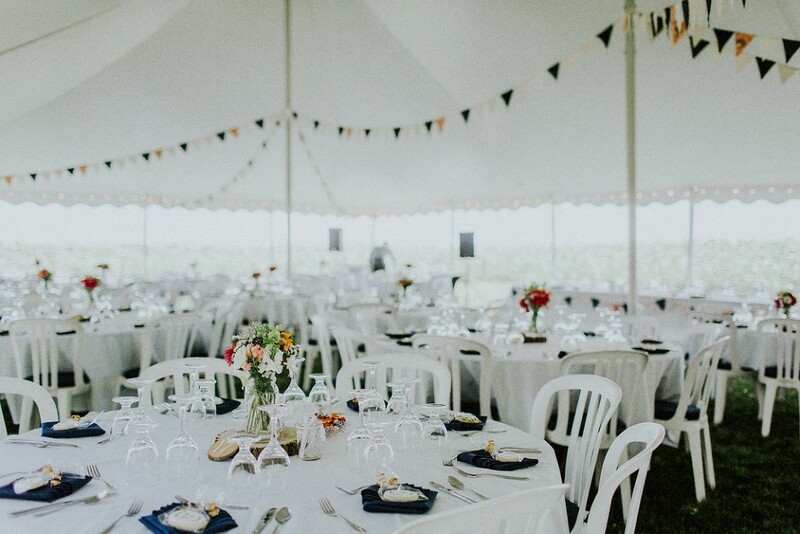 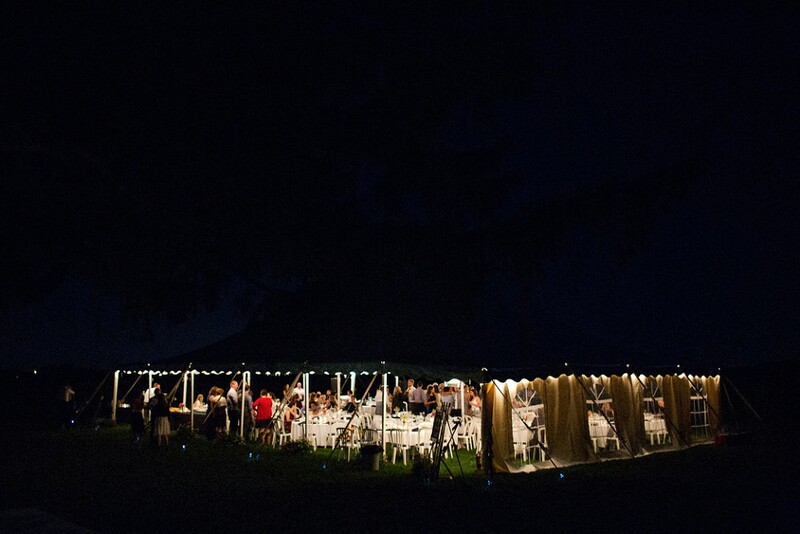 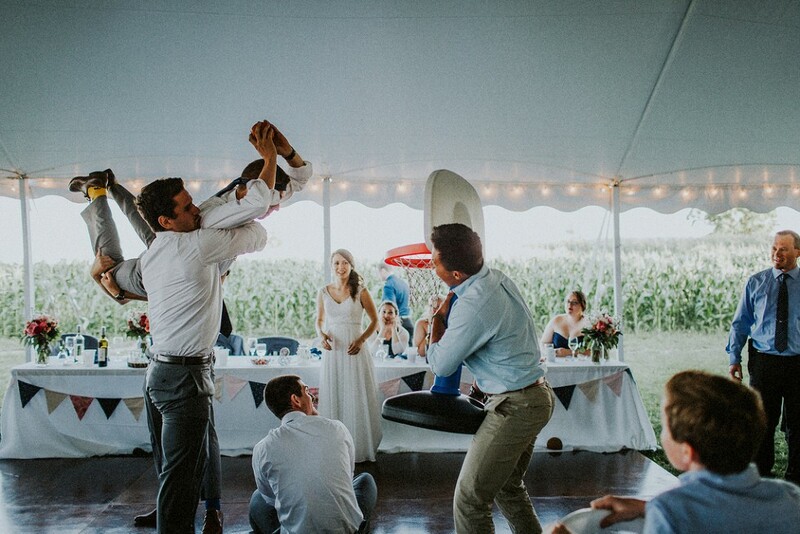 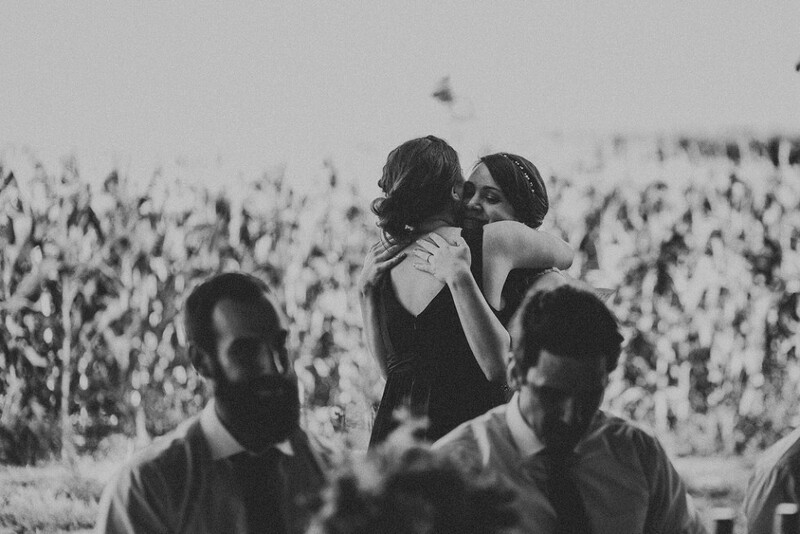 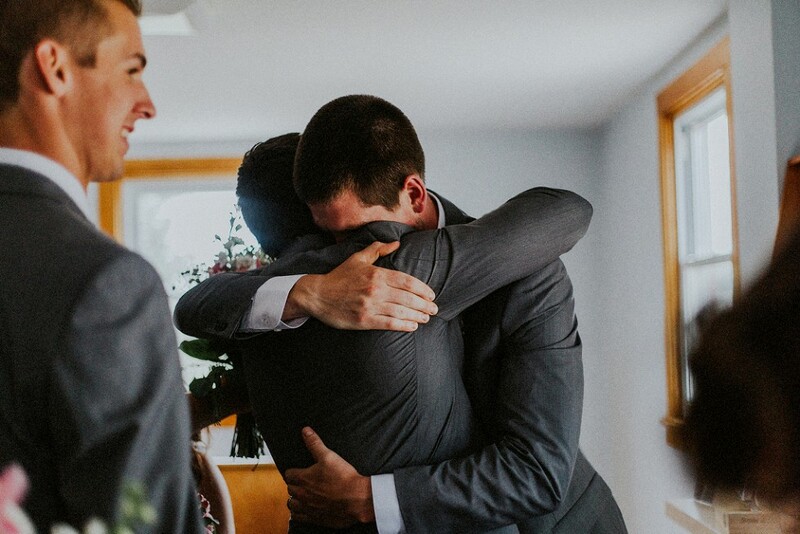 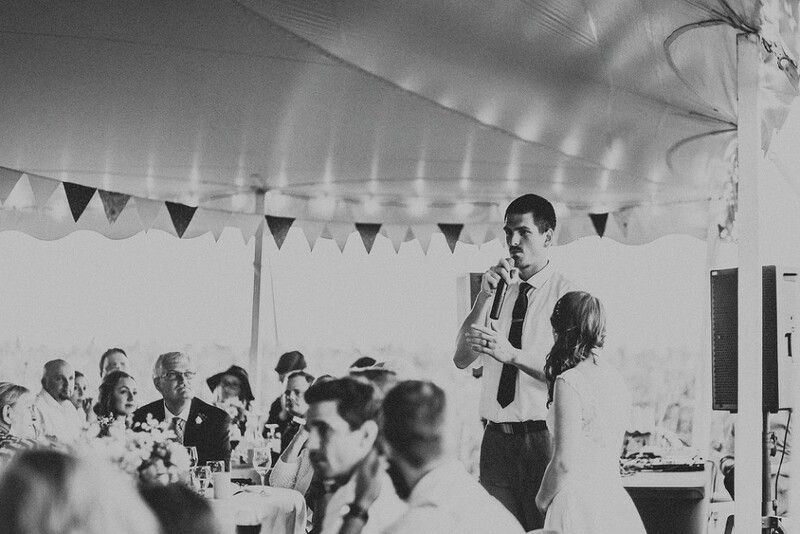 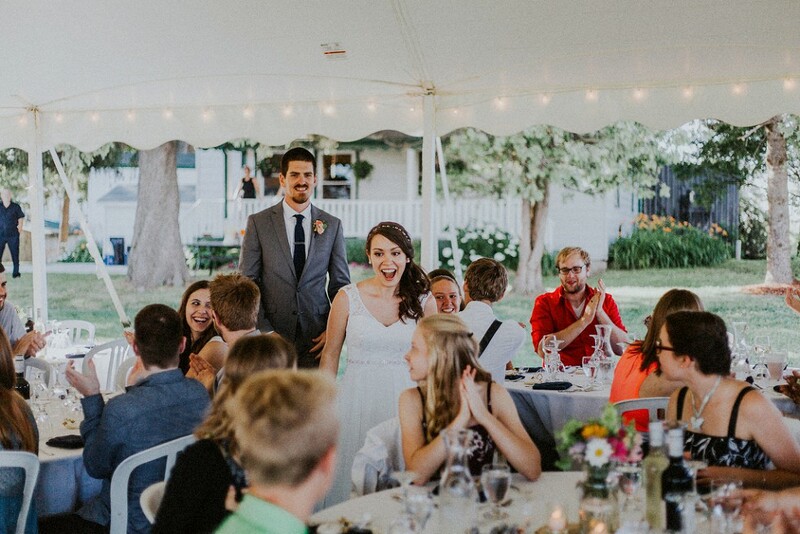 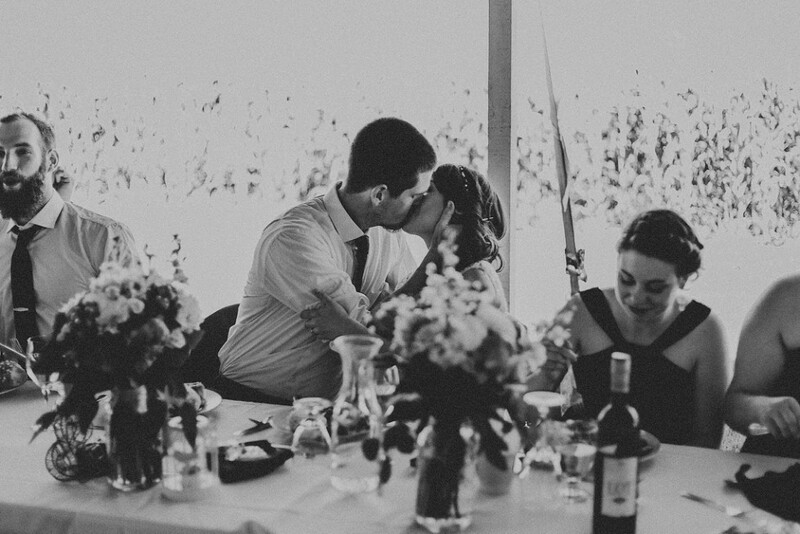 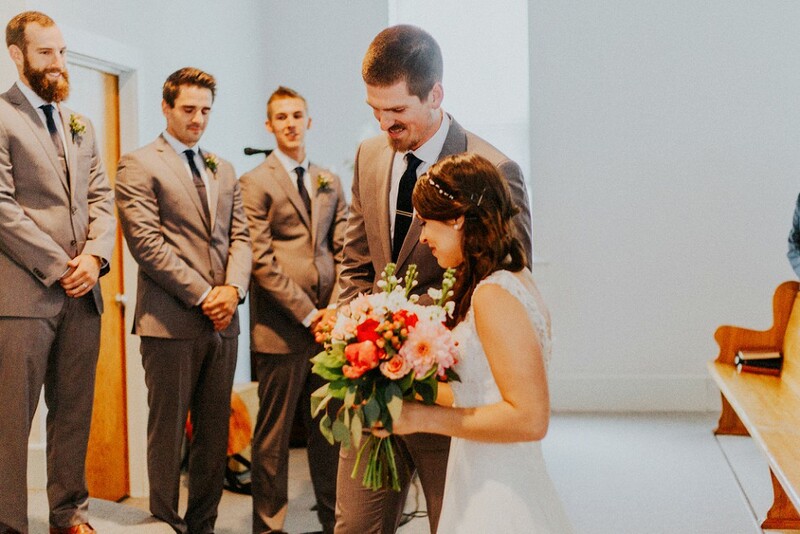 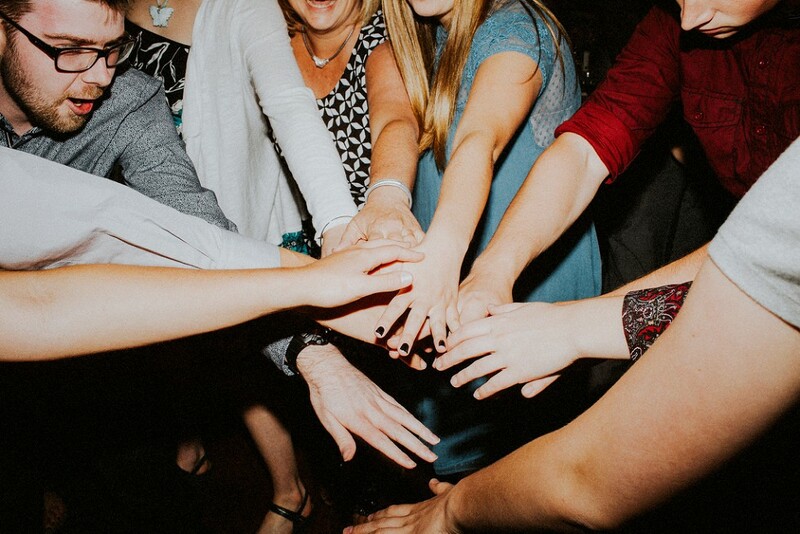 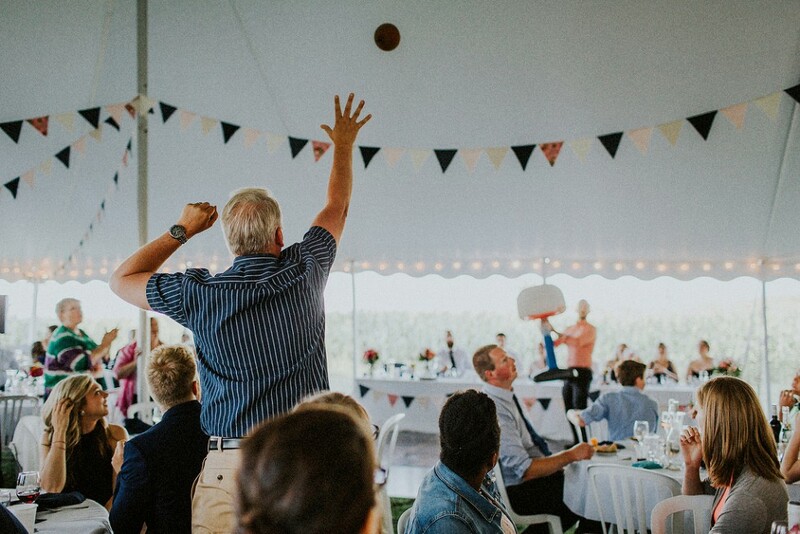 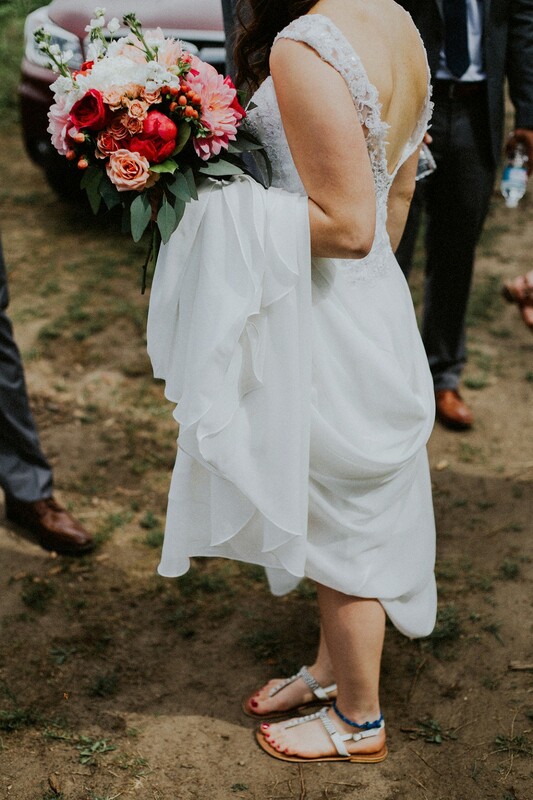 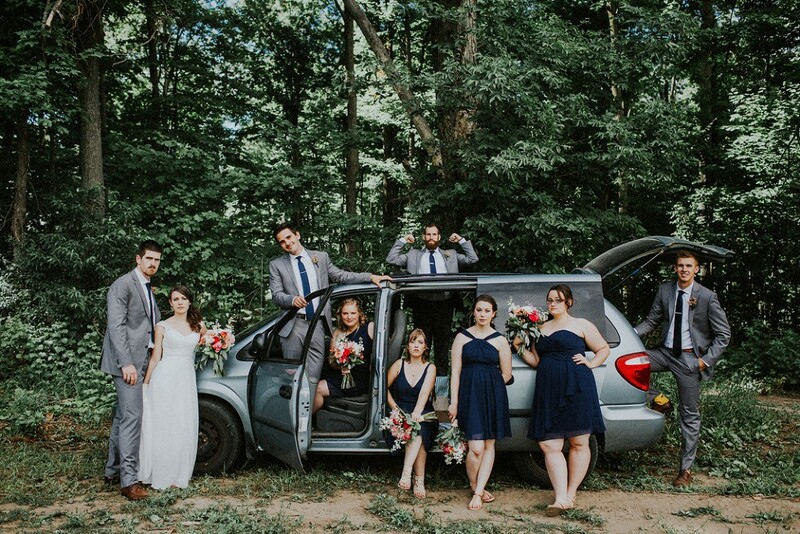 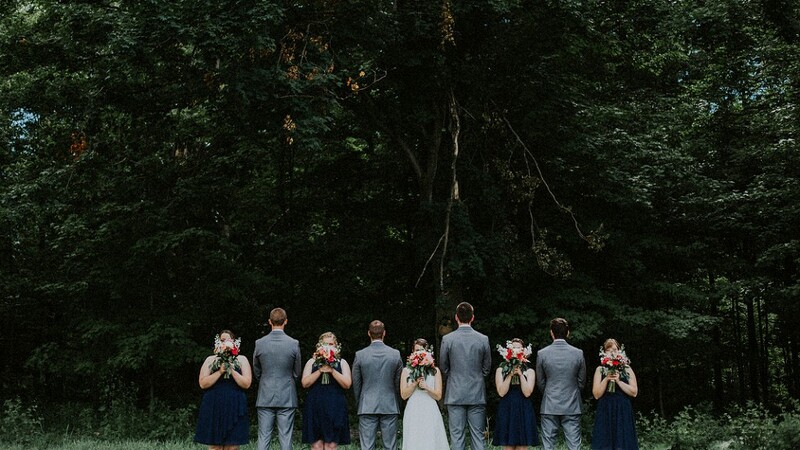 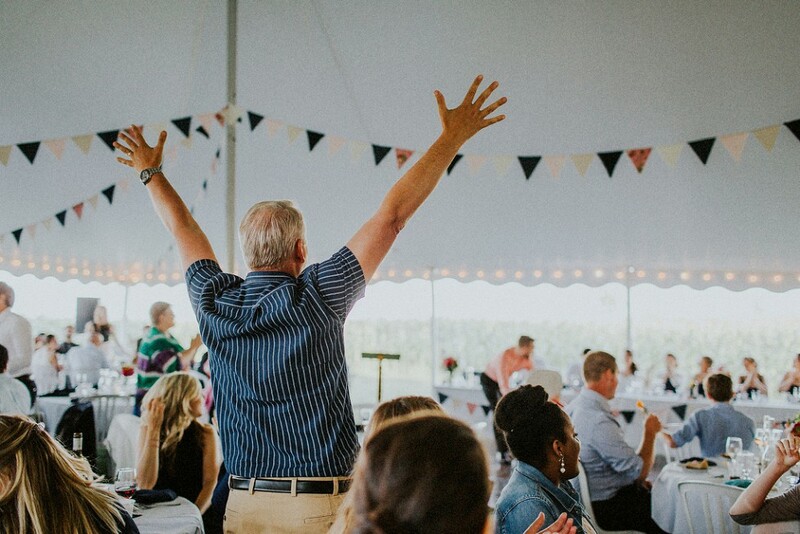 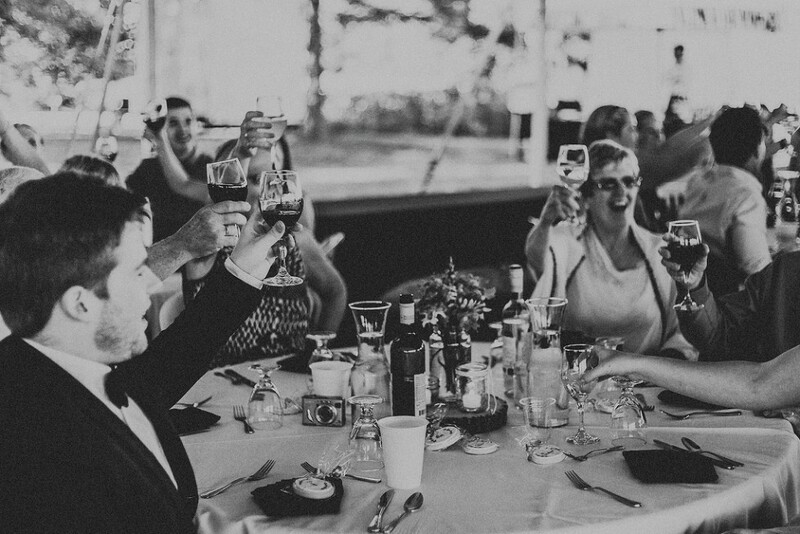 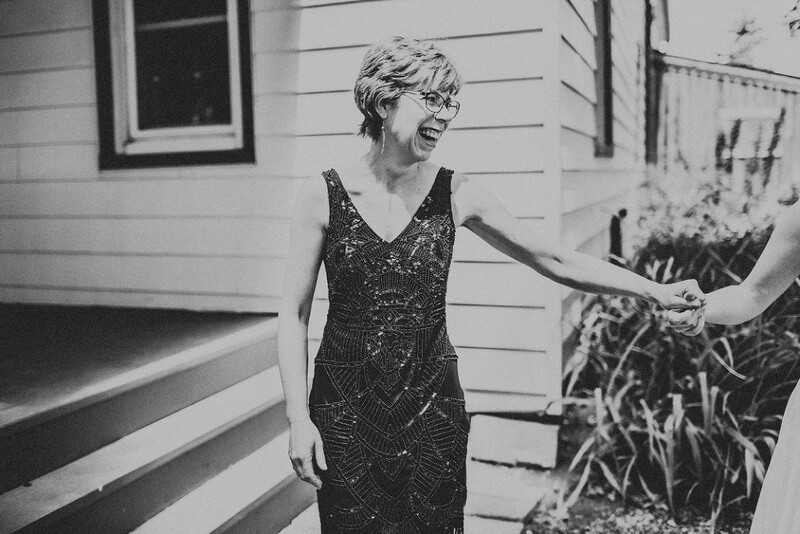 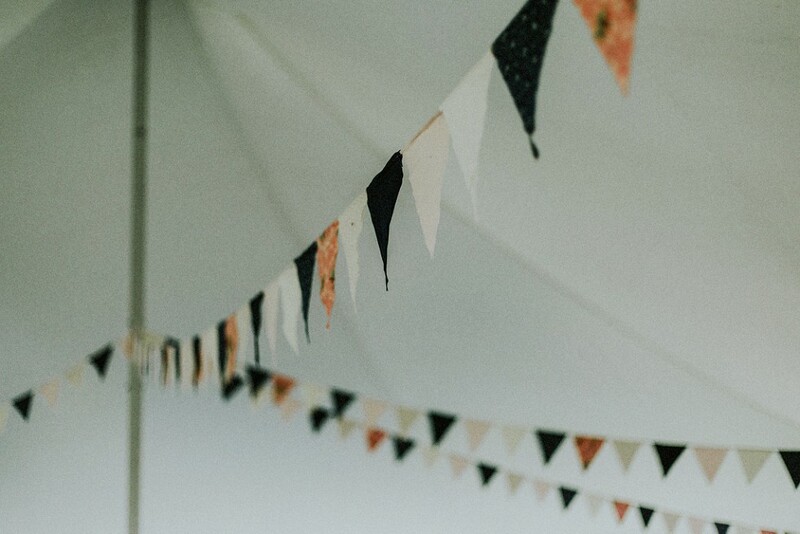 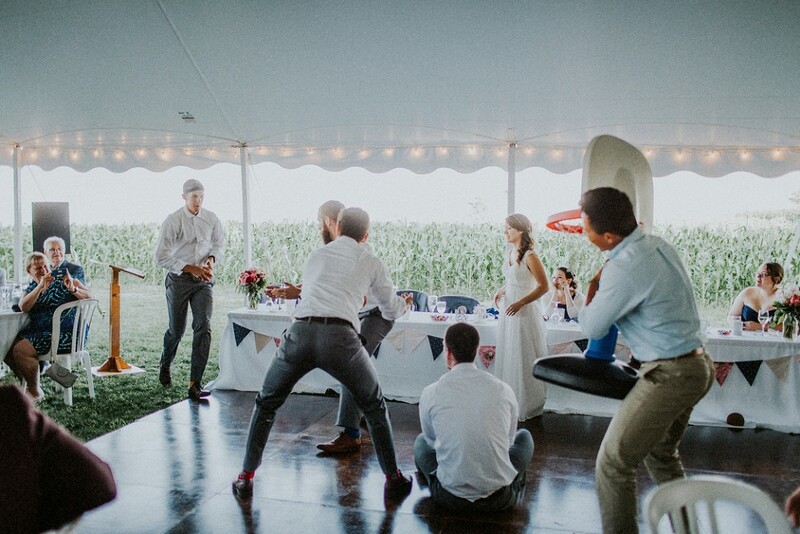 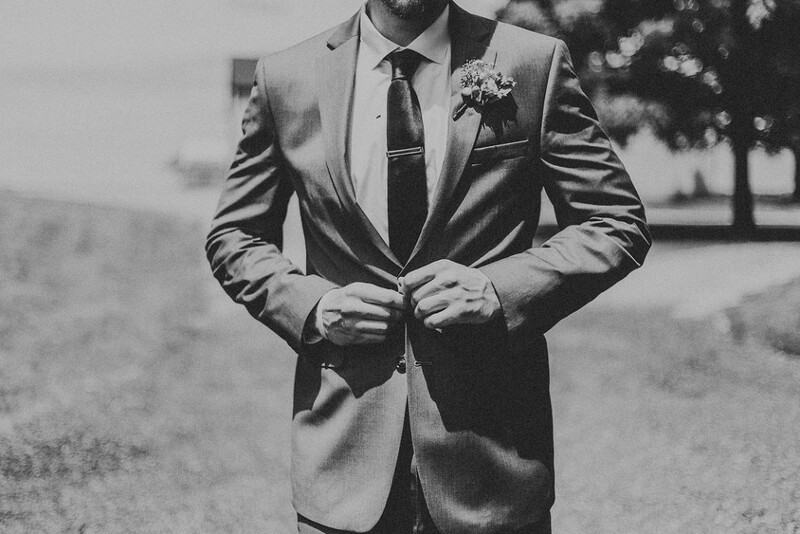 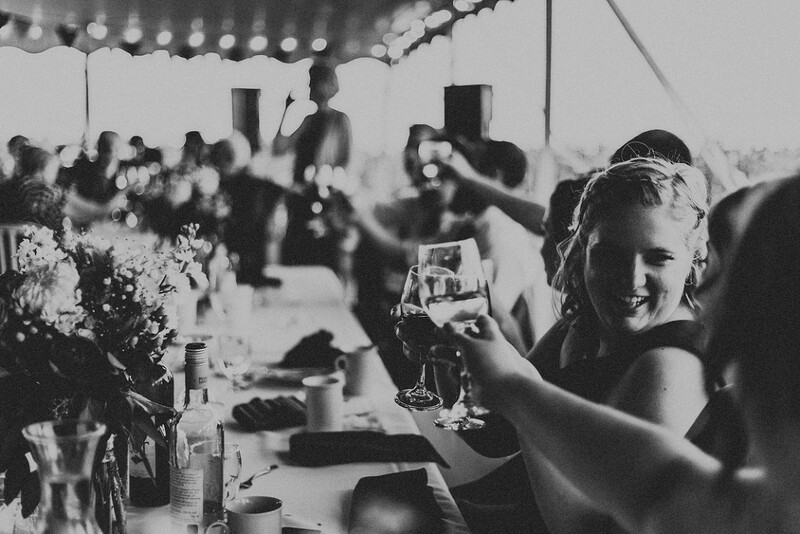 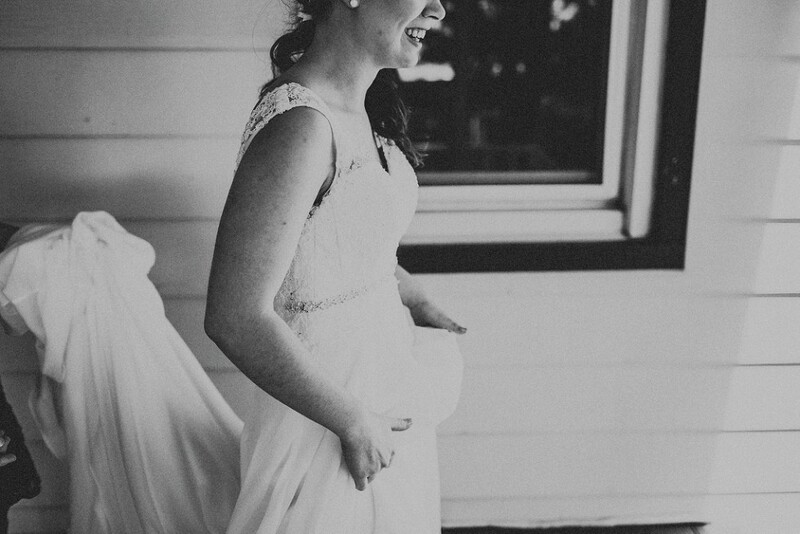 I adore the simplicity of the celebration that Katie + Scott created. 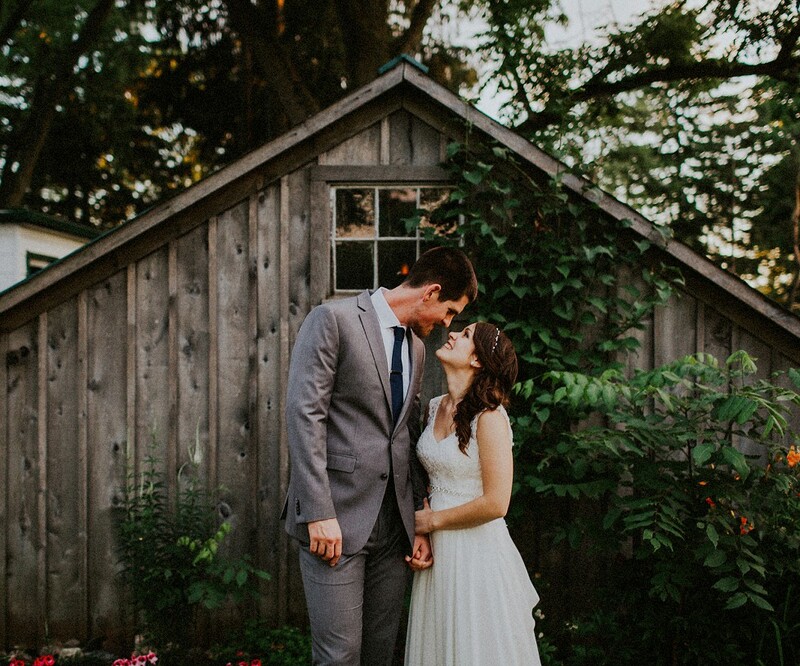 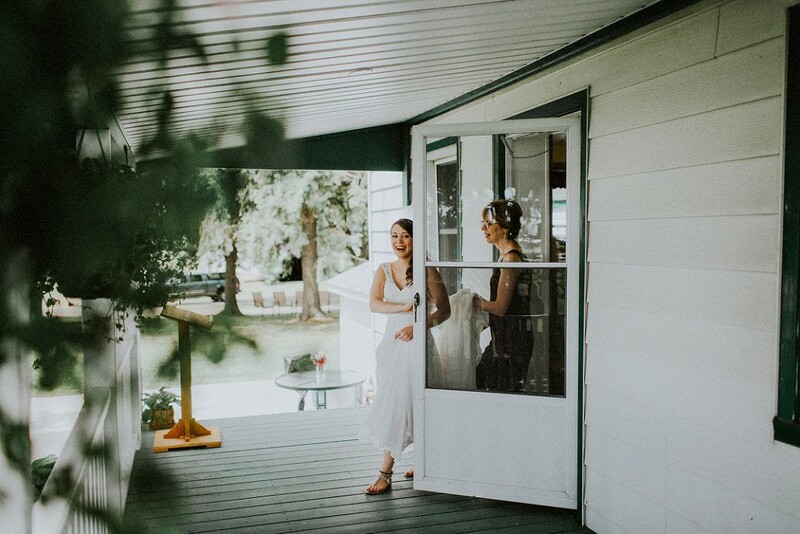 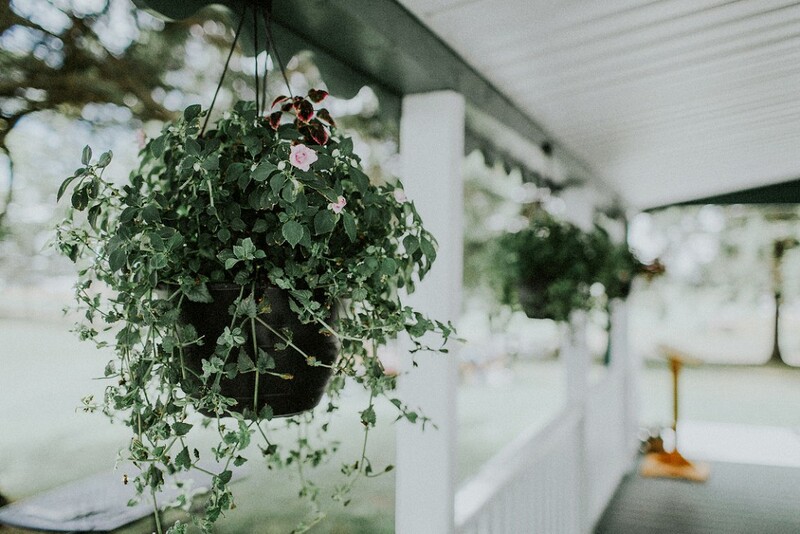 It’s no secret that I love backyard weddings, and so many laid back and simple details made this sunny July day so very special. 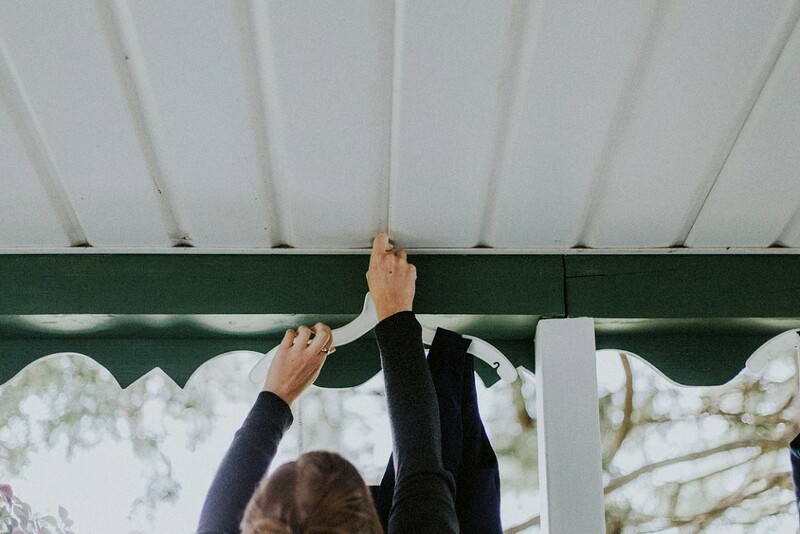 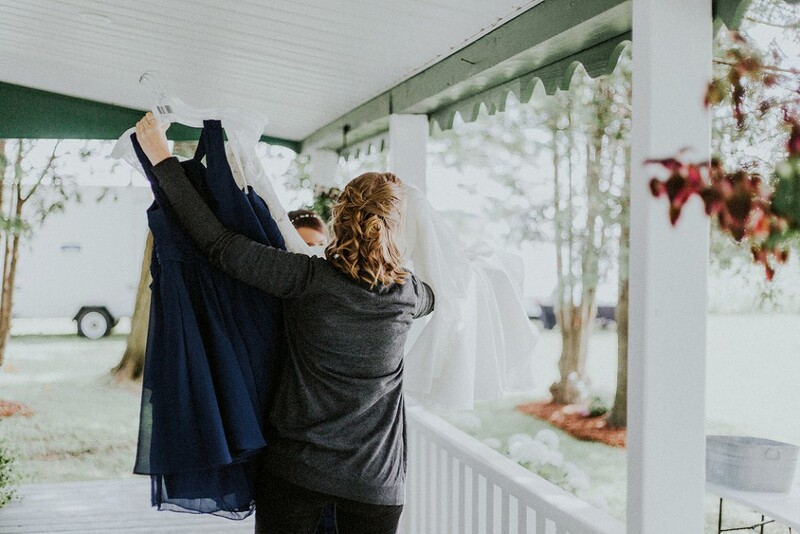 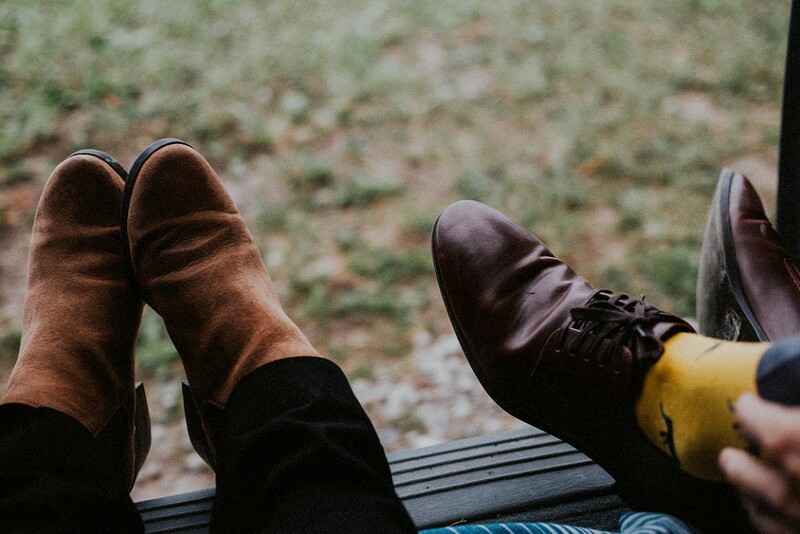 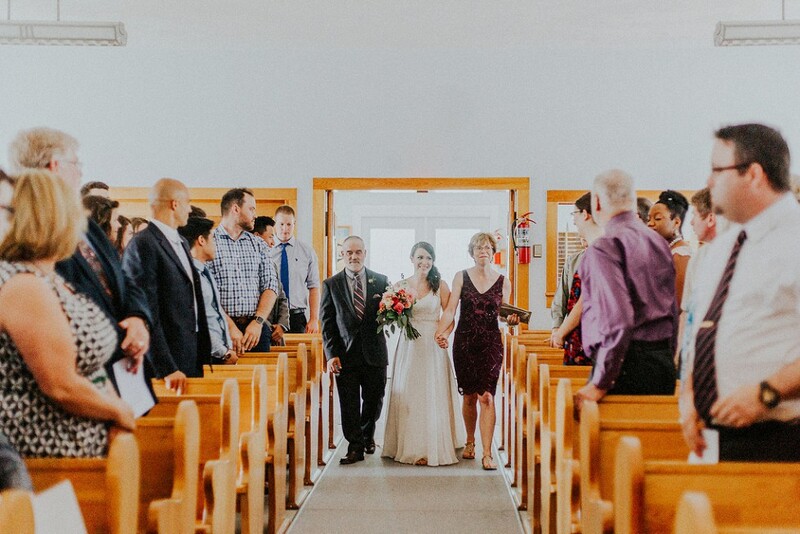 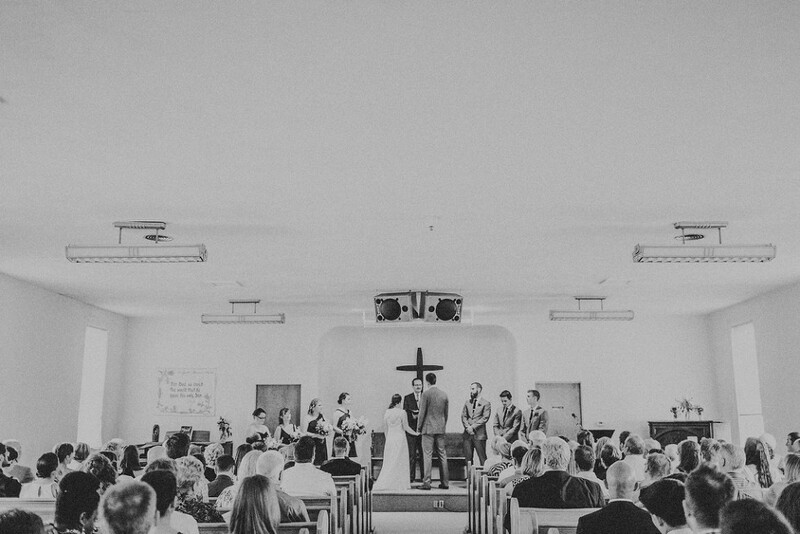 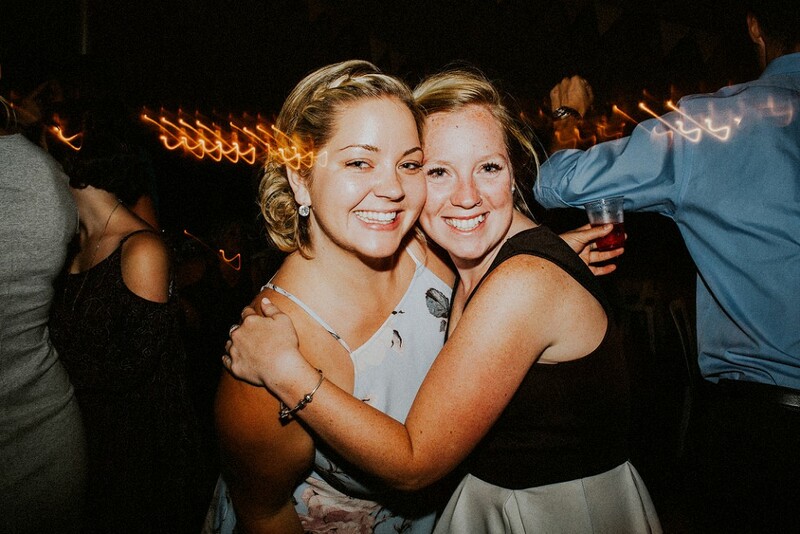 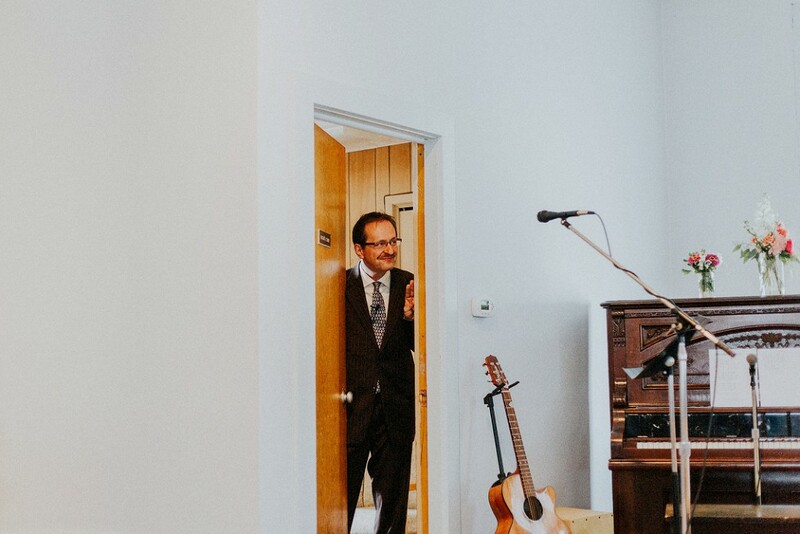 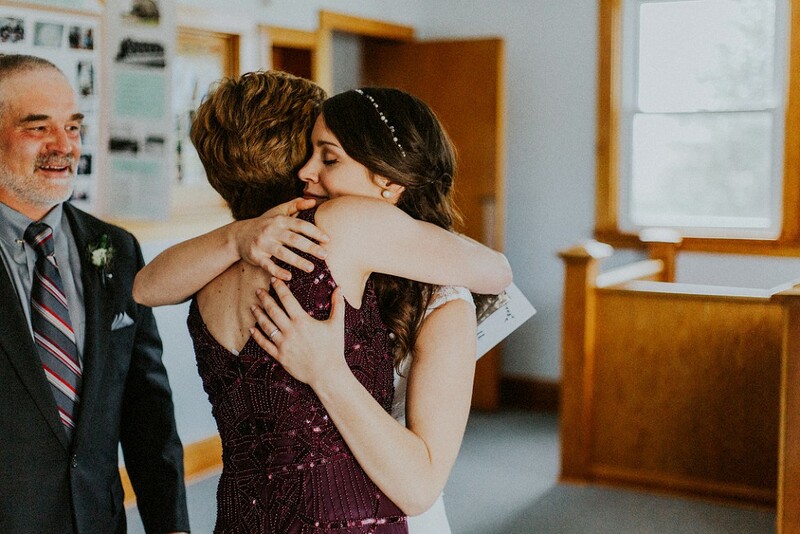 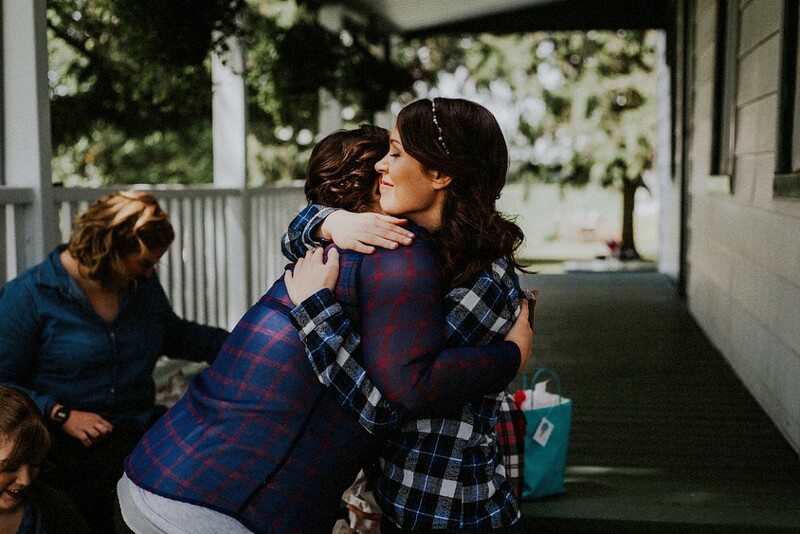 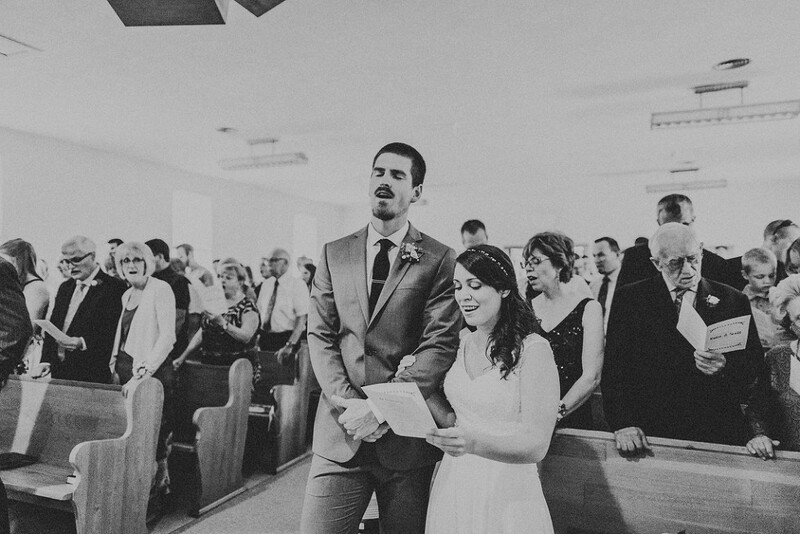 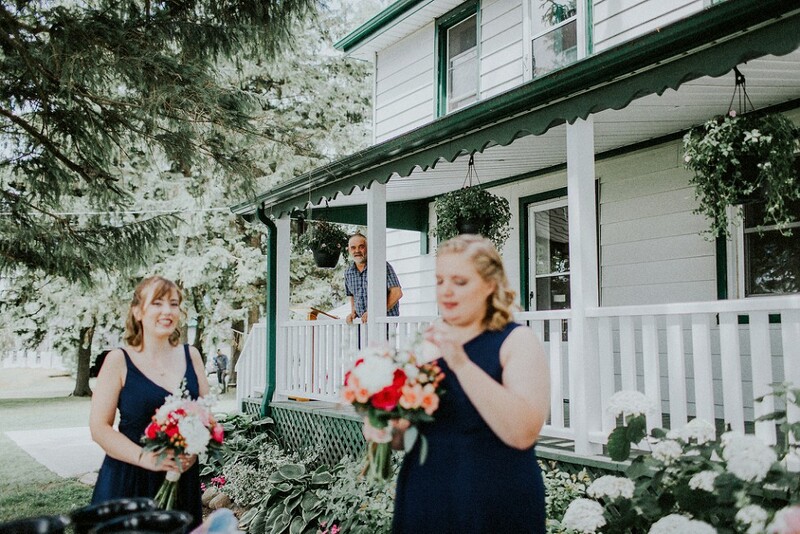 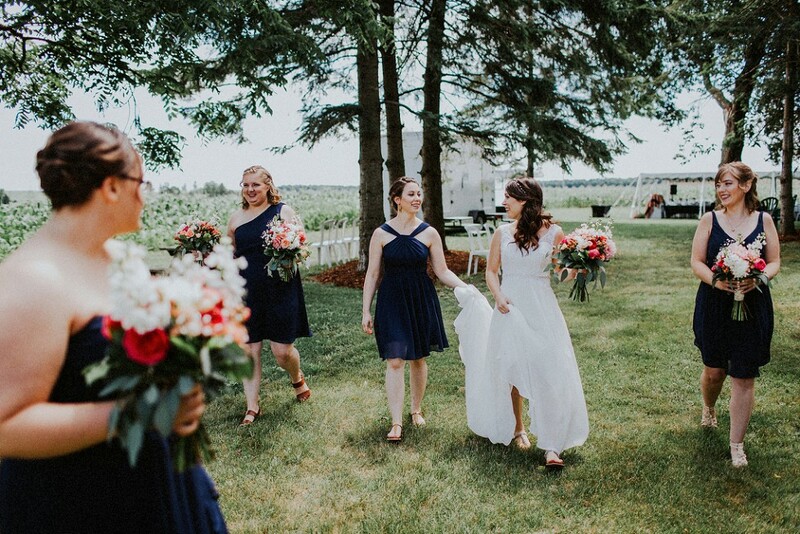 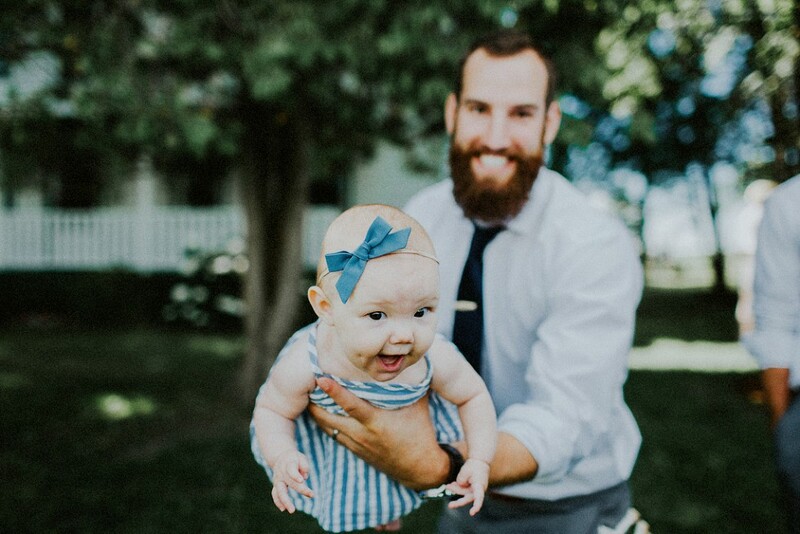 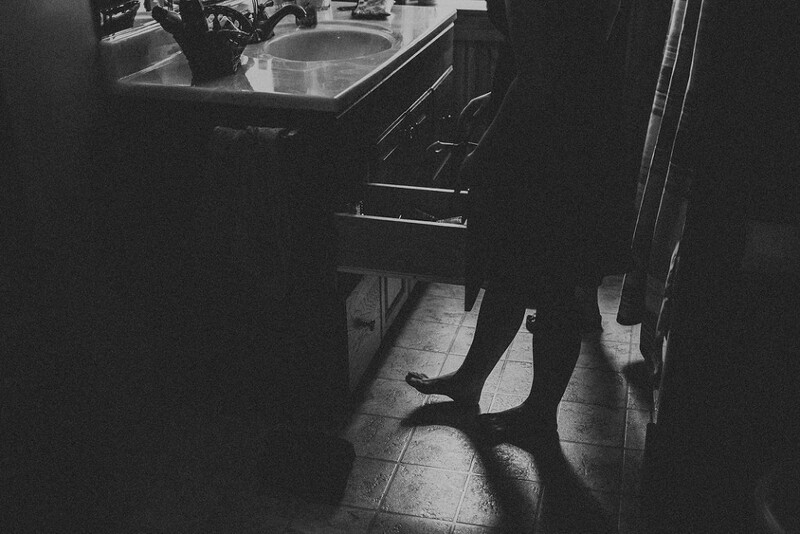 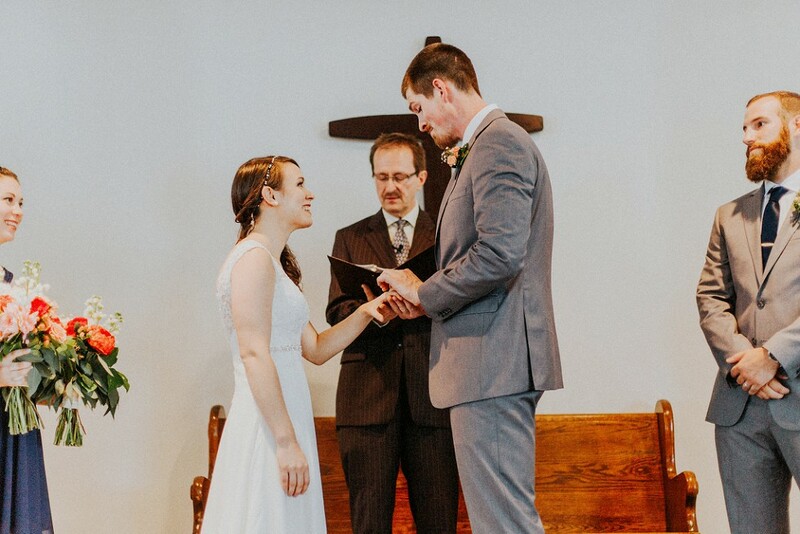 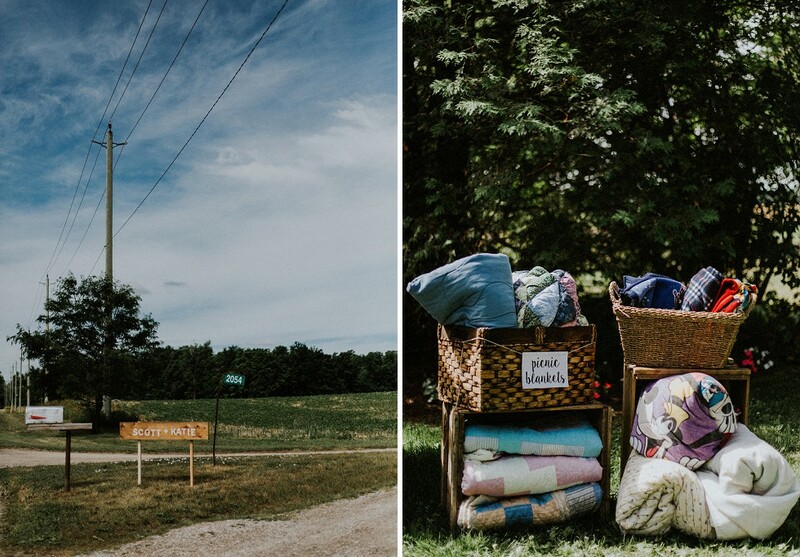 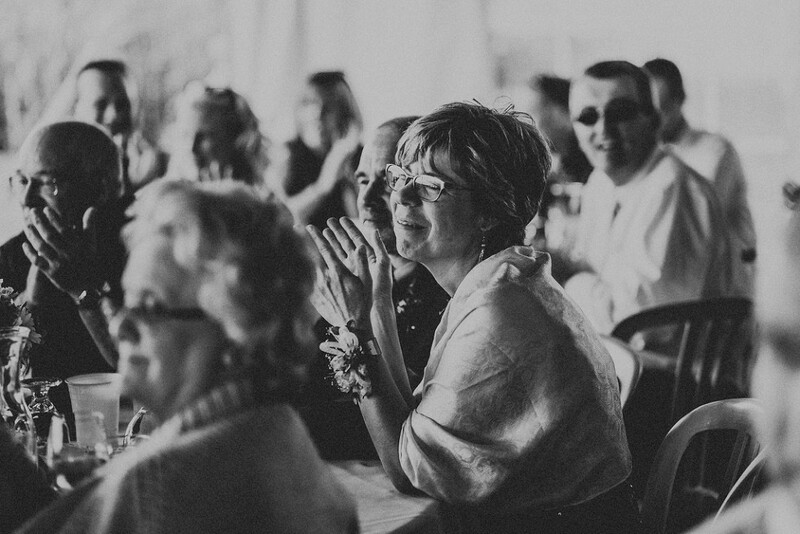 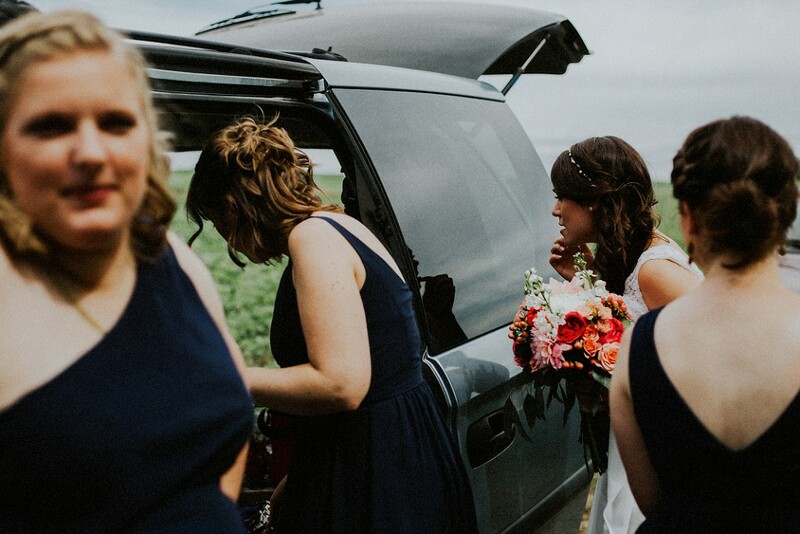 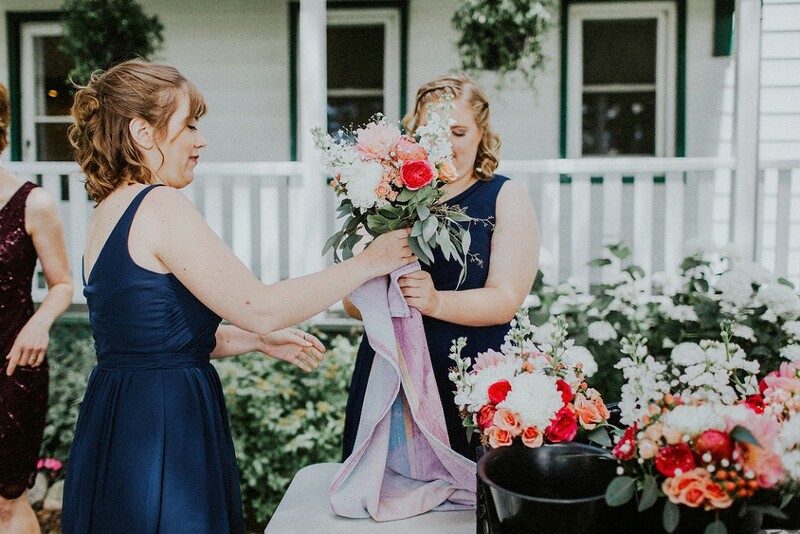 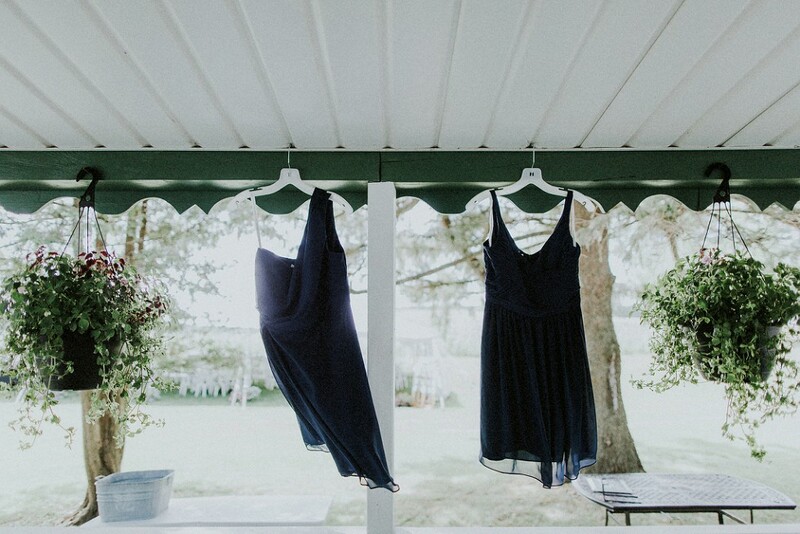 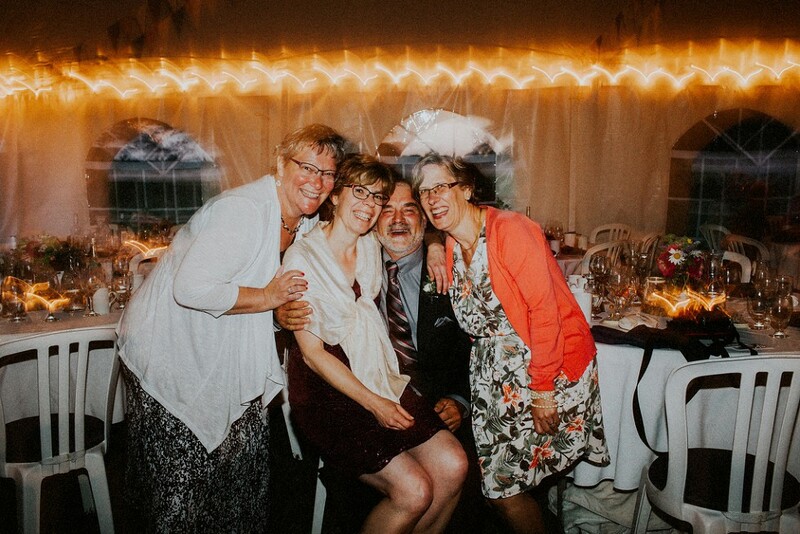 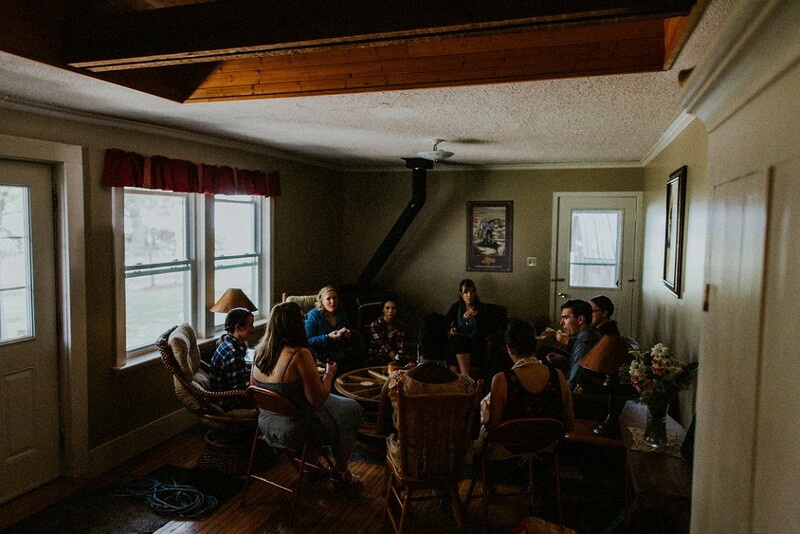 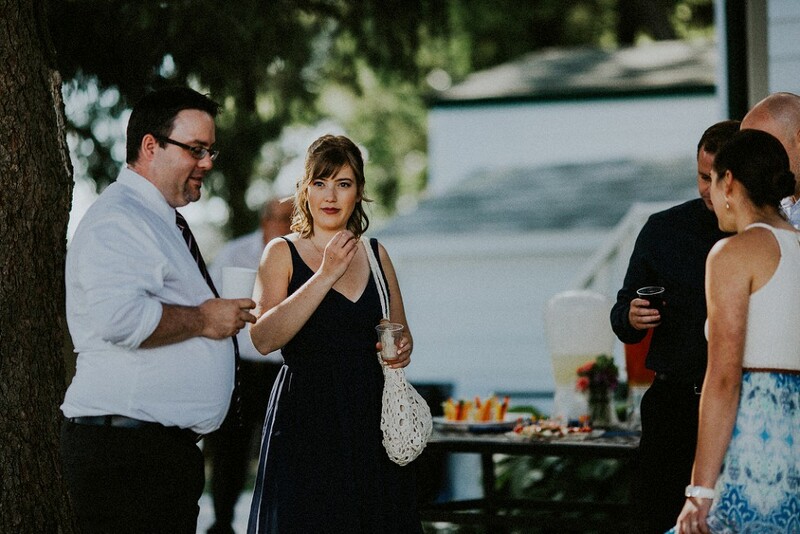 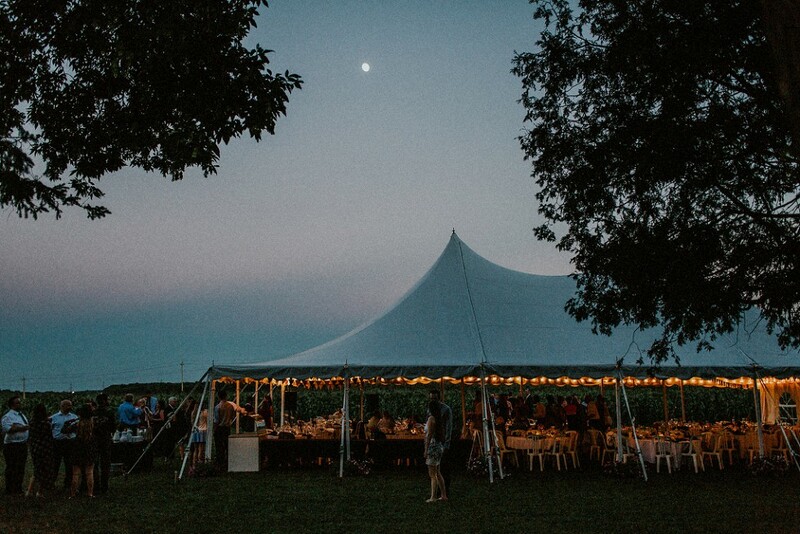 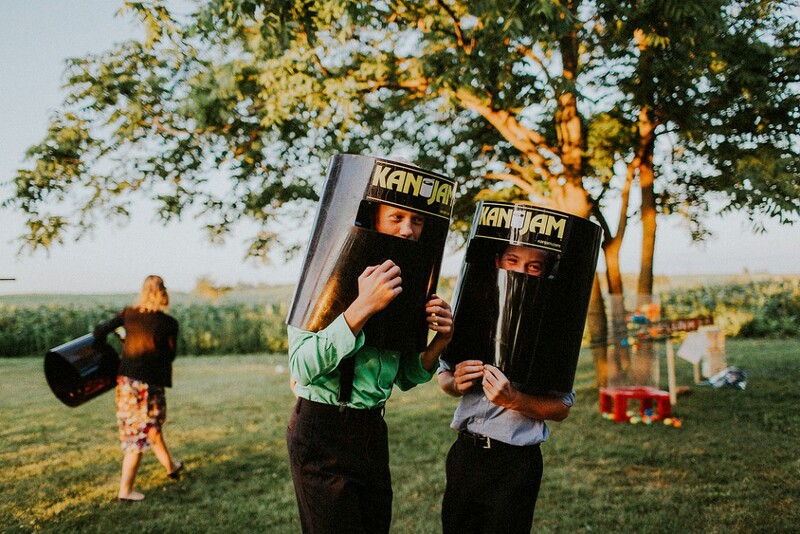 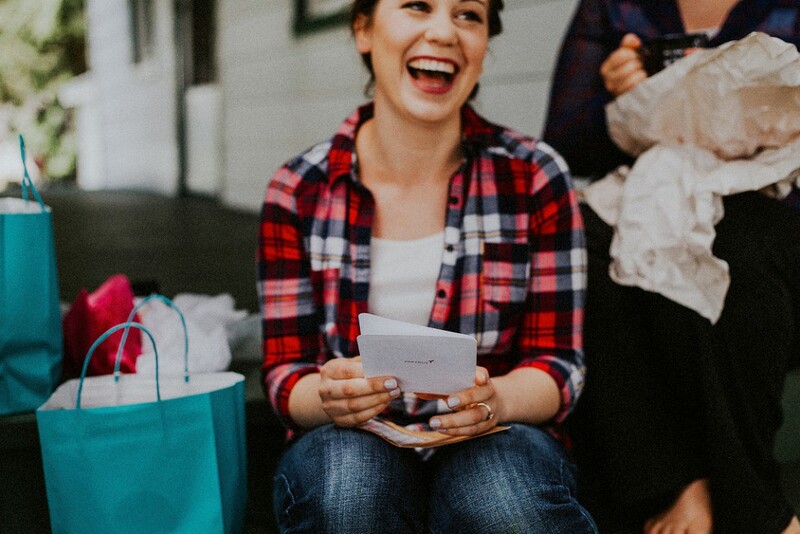 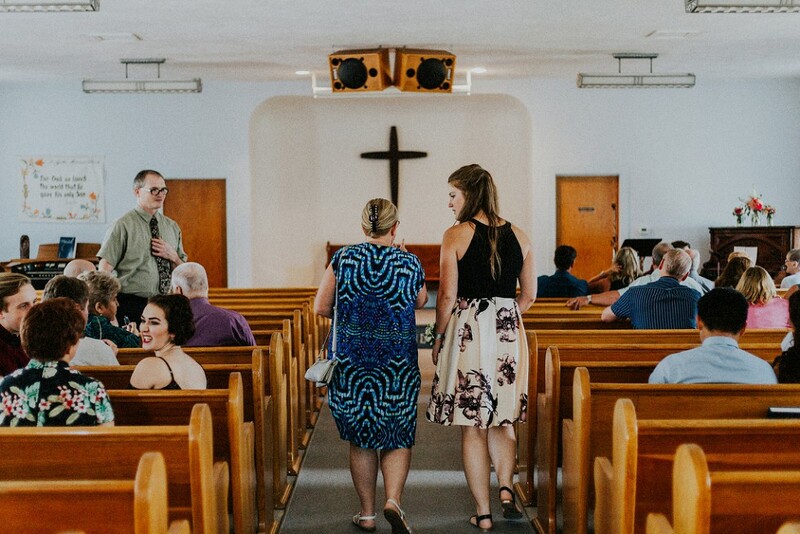 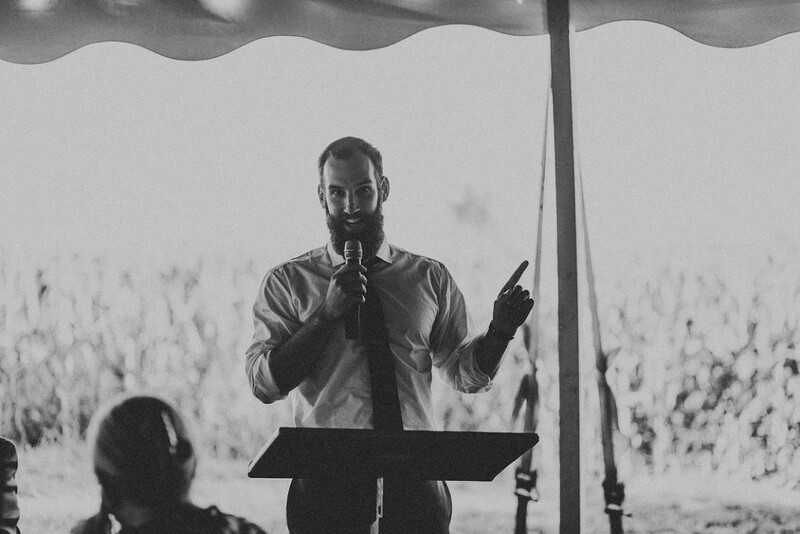 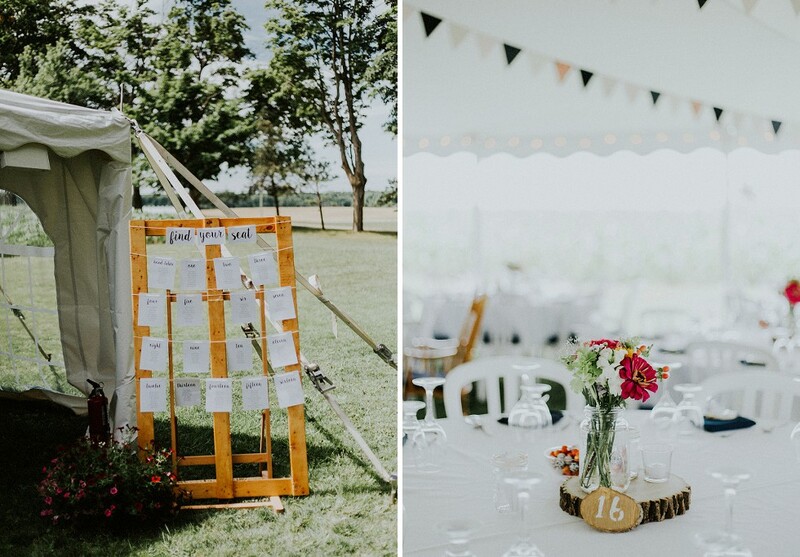 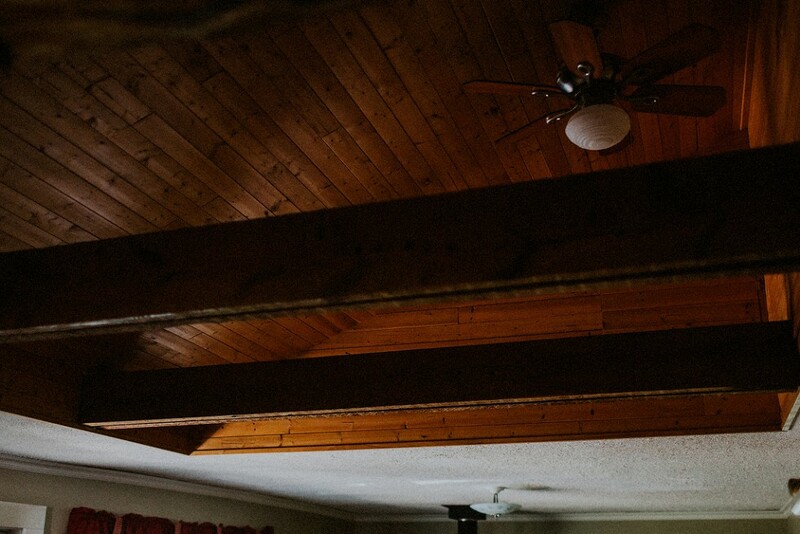 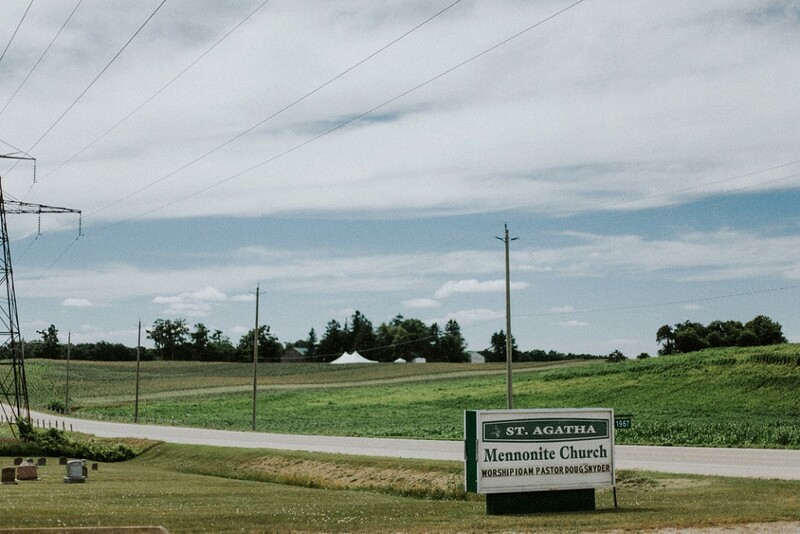 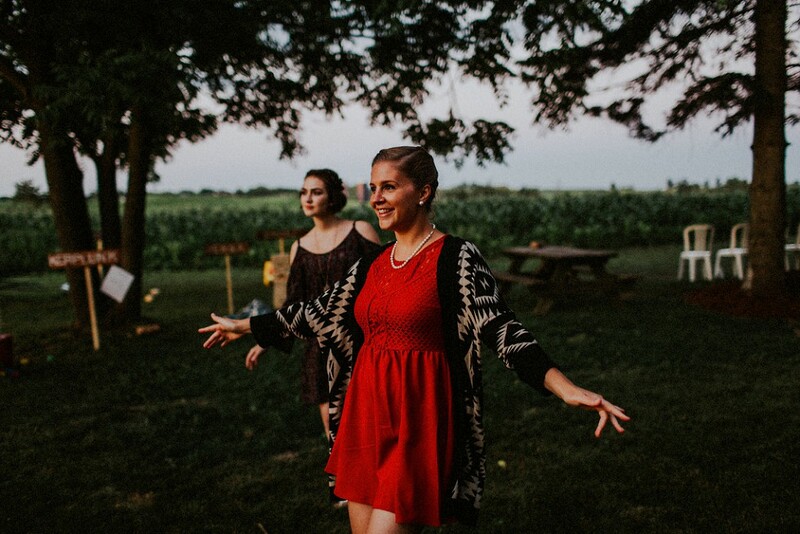 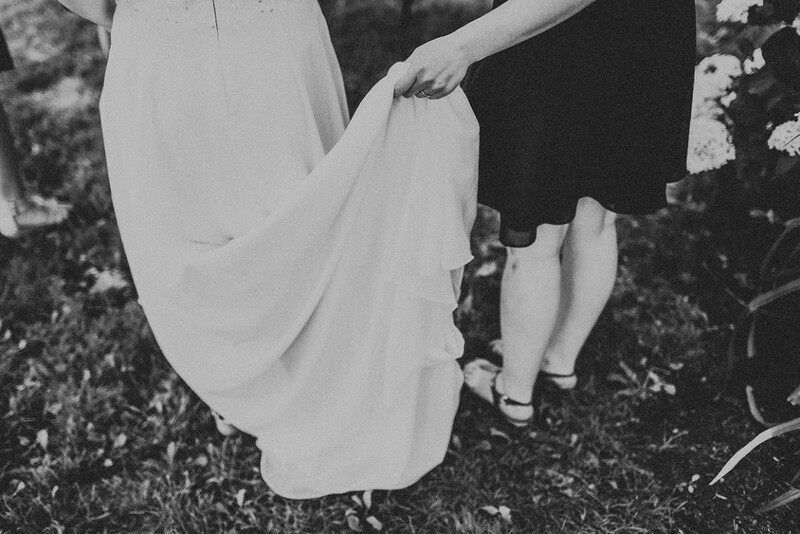 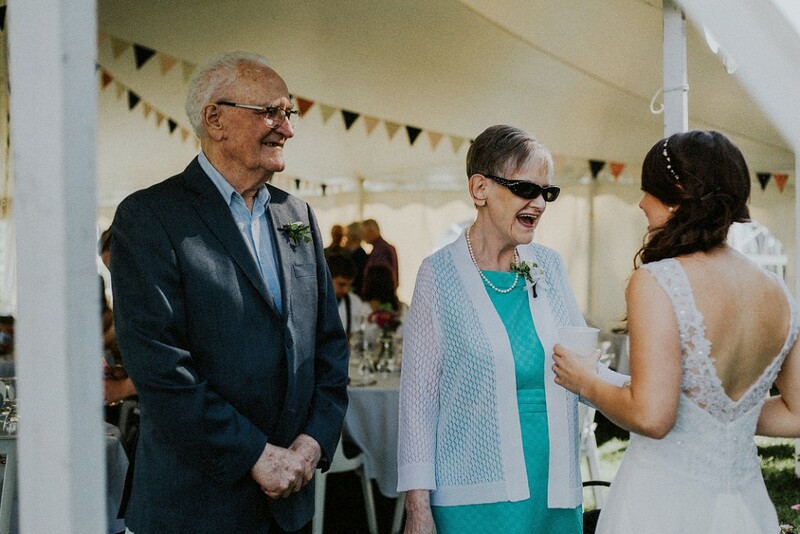 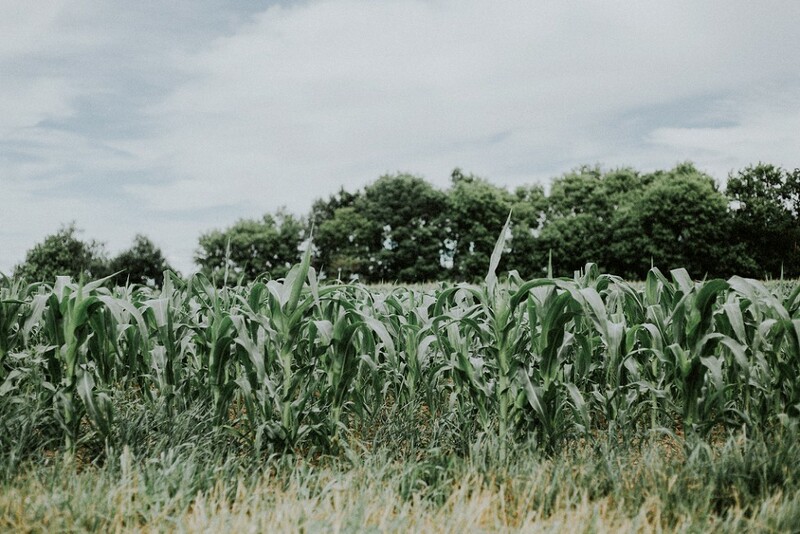 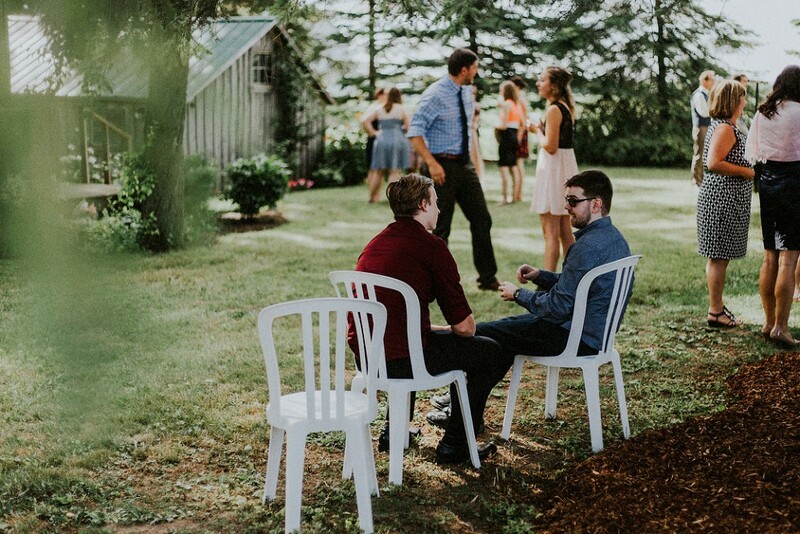 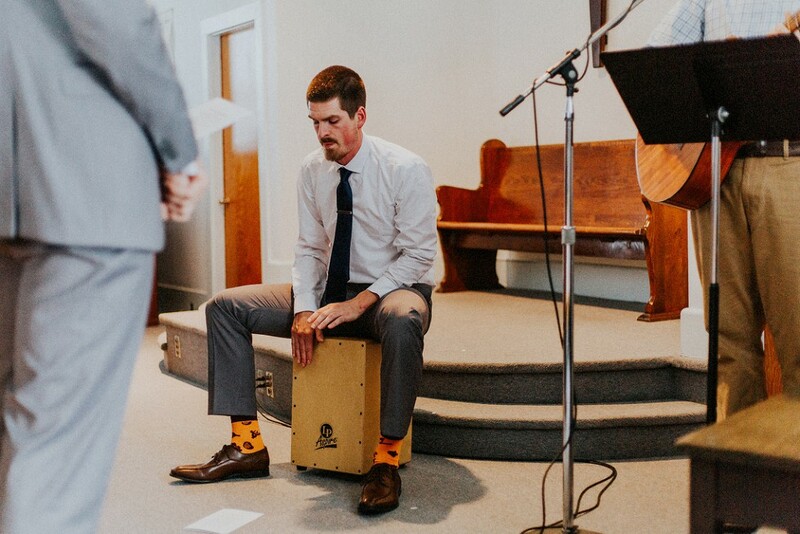 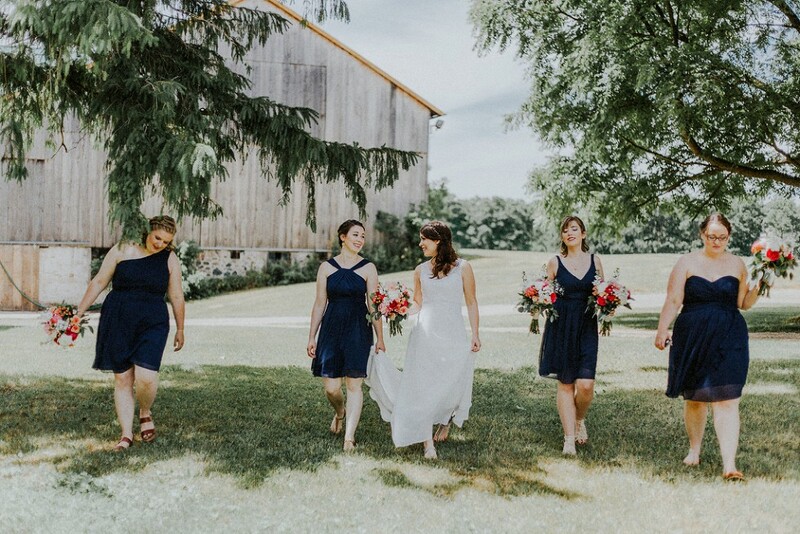 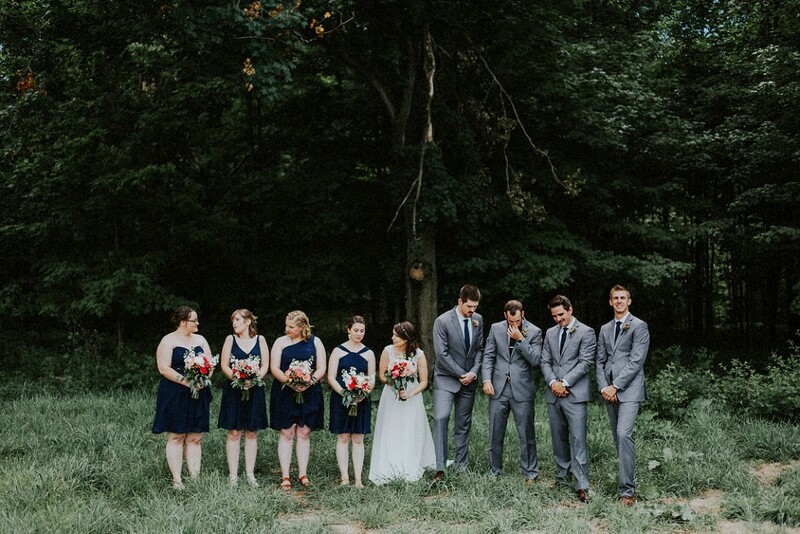 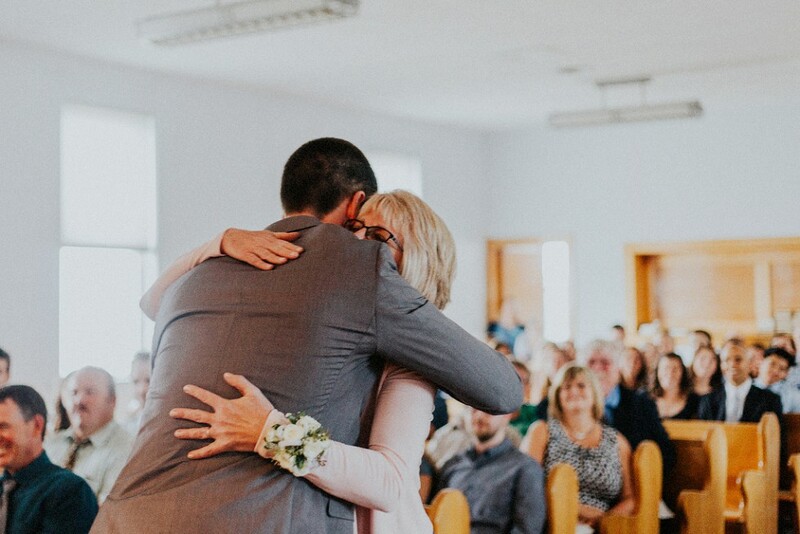 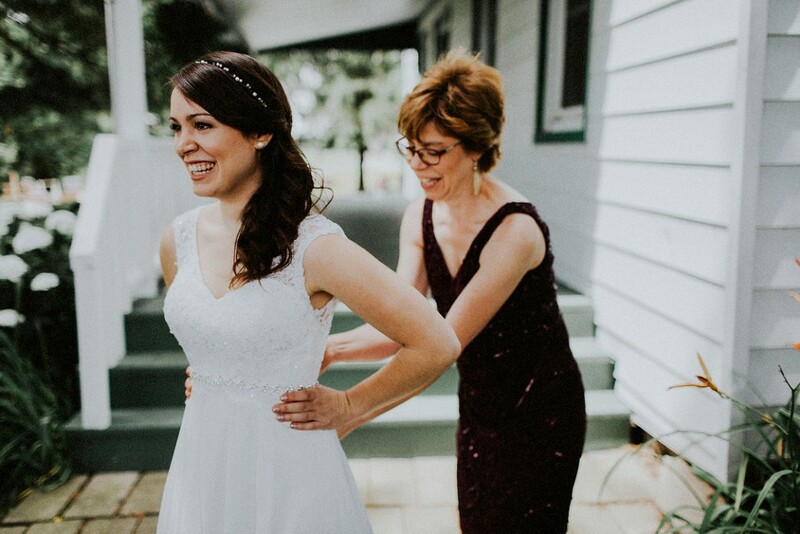 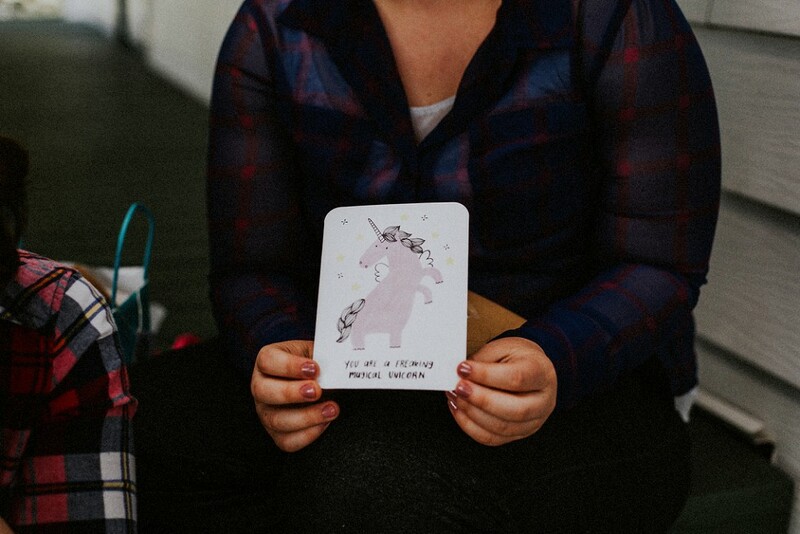 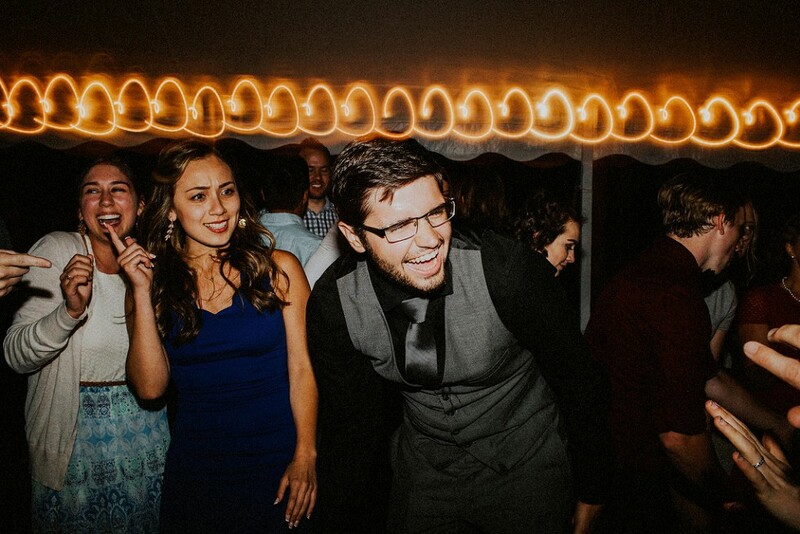 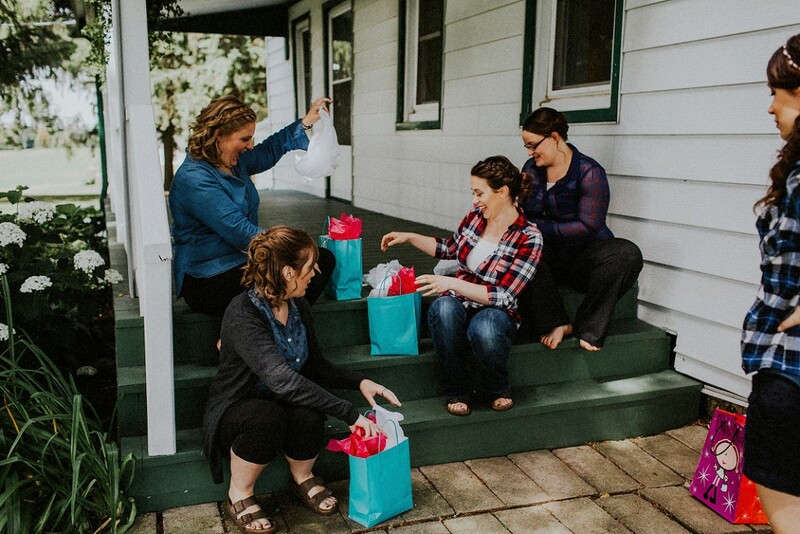 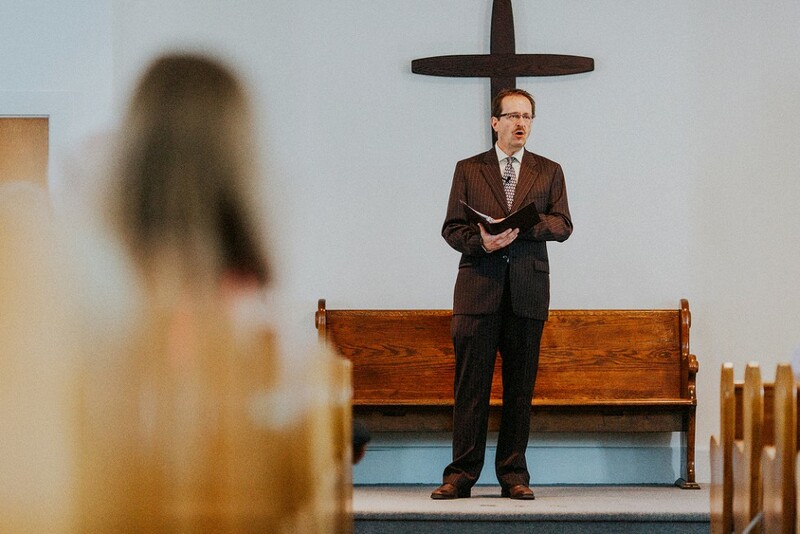 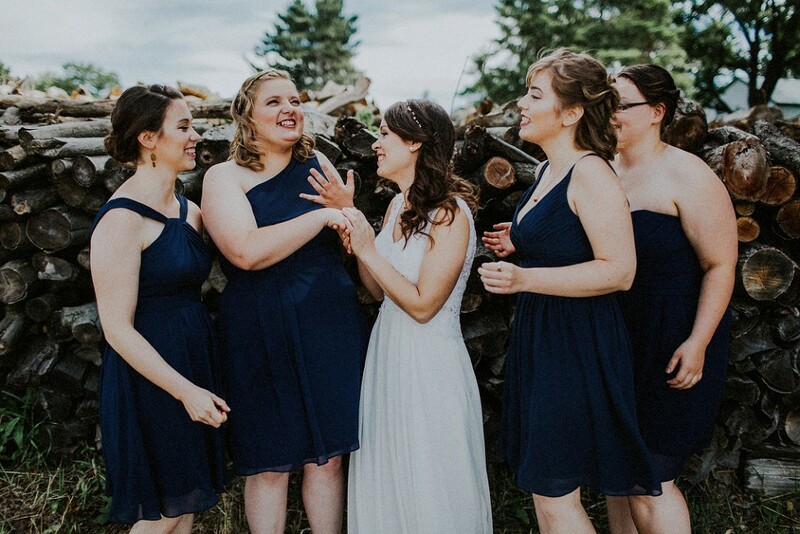 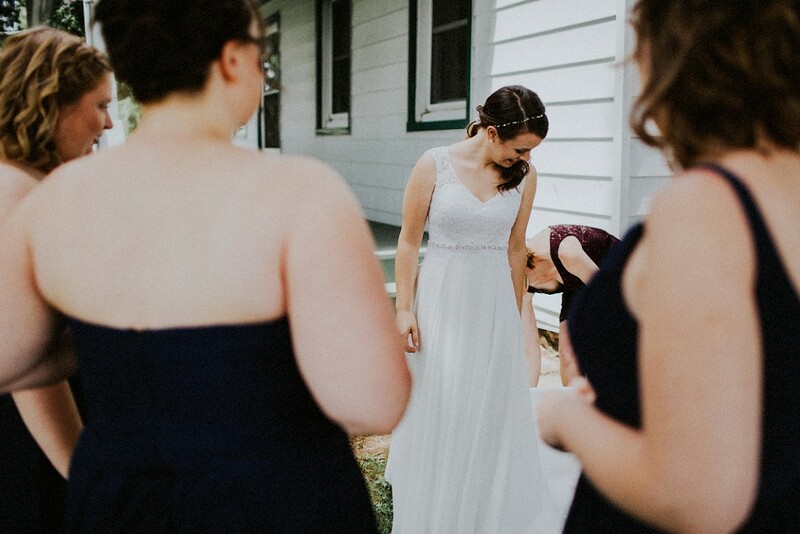 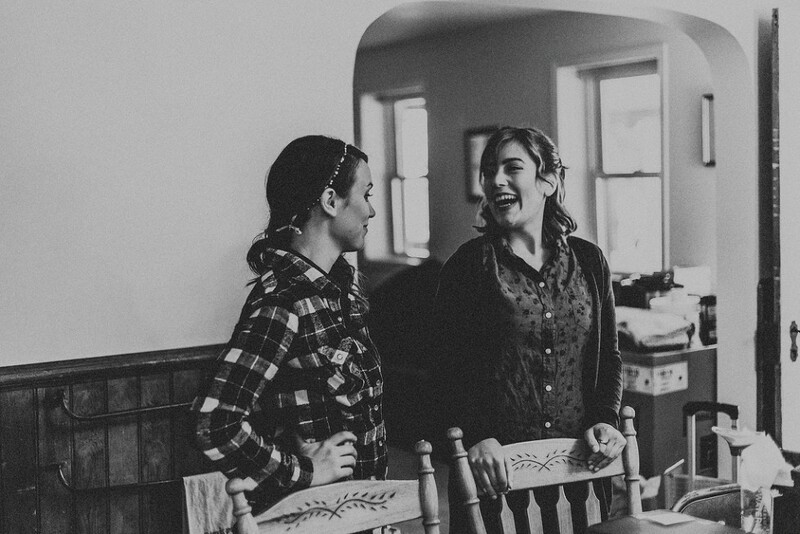 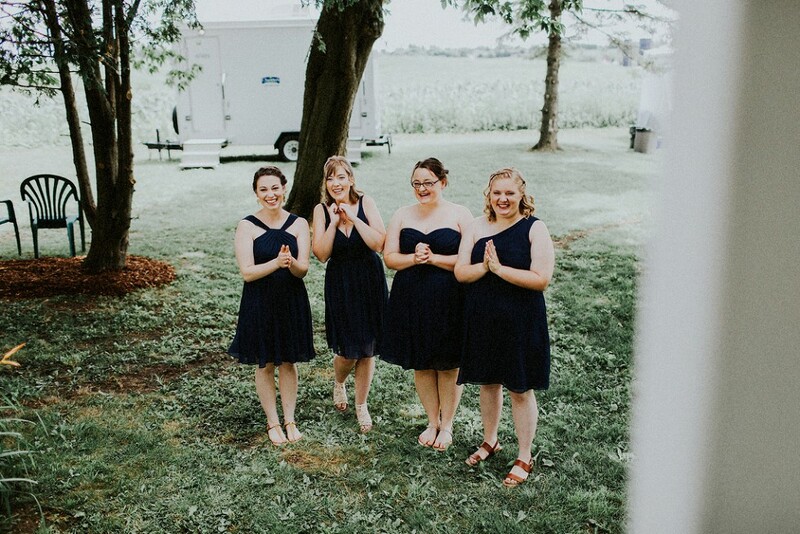 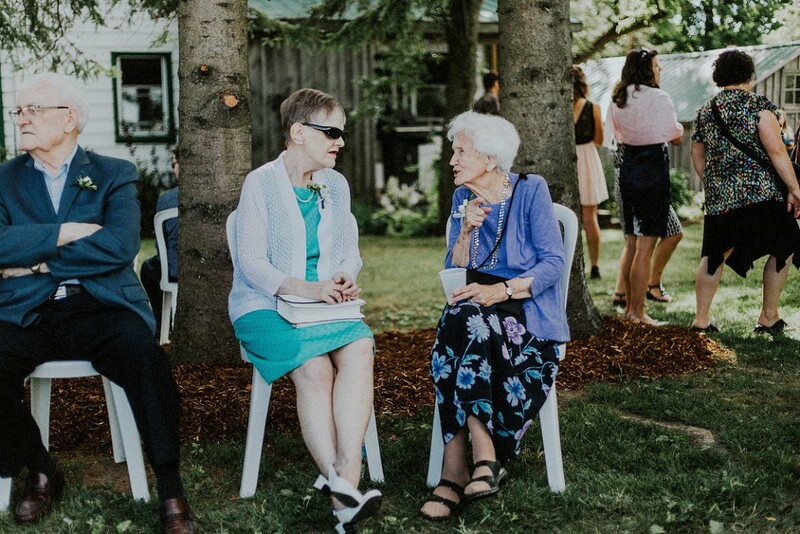 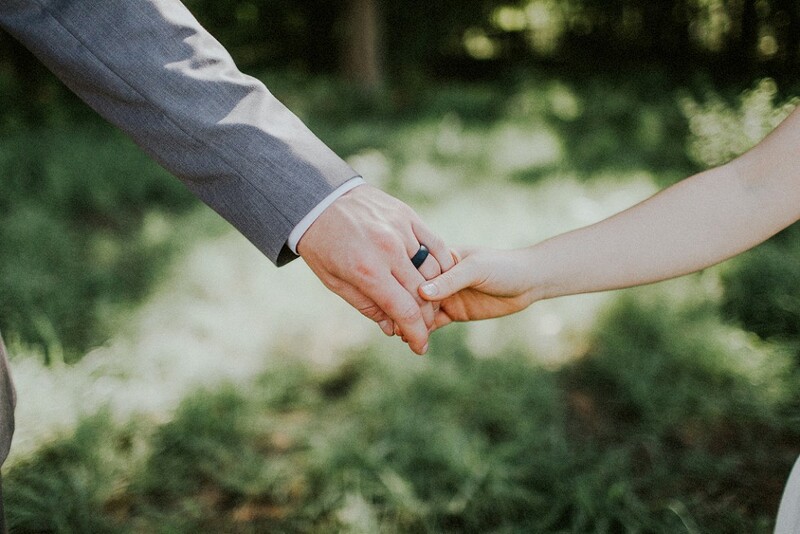 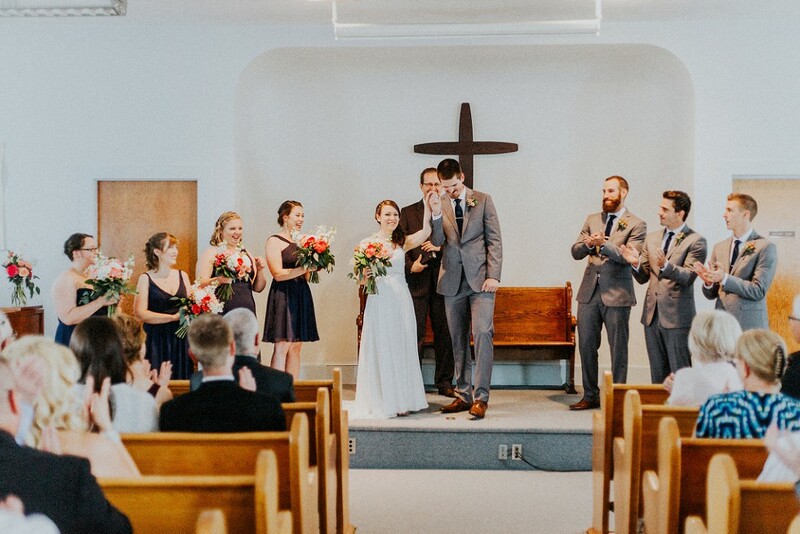 From the boxes of picnic blankets that were waiting for to be snuggled on that evening, to the ceremony that was held at the small country Mennonite church across the lane. 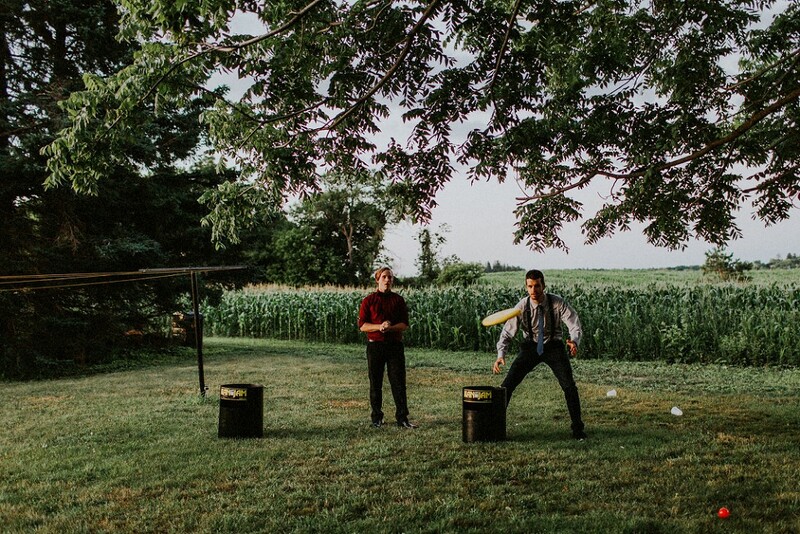 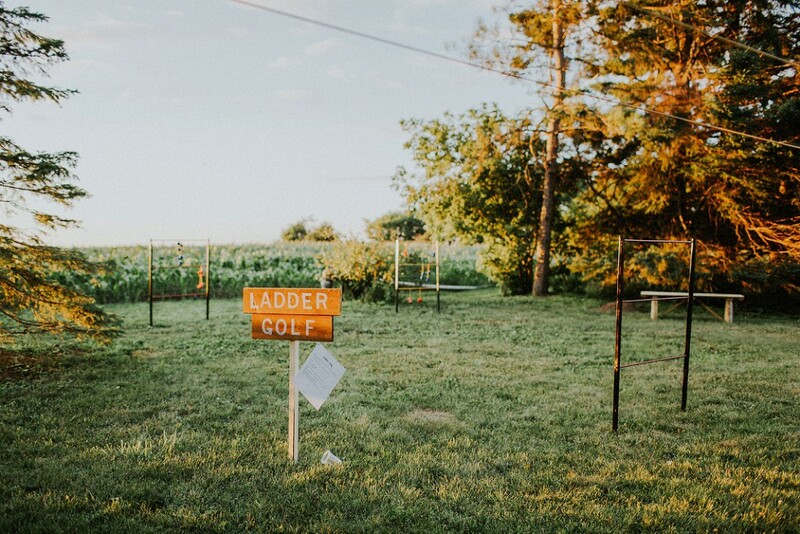 Once back at the farm guests interacted with other while playing lawn games outside Katie’s parents house, as the sun set over the cornfields that Katie grew up playing in, and we danced the night away in the tent that stood on freshly cleared land. 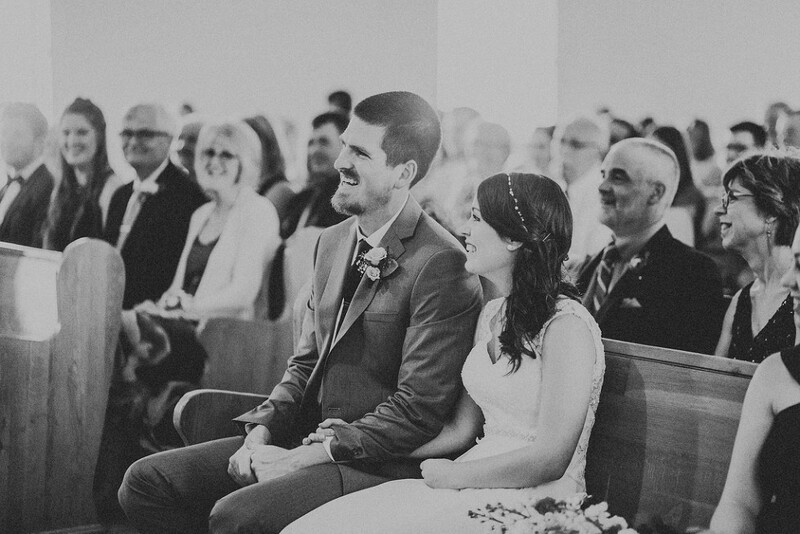 I adore these two so much and I’m so honoured to have celebrated with them.